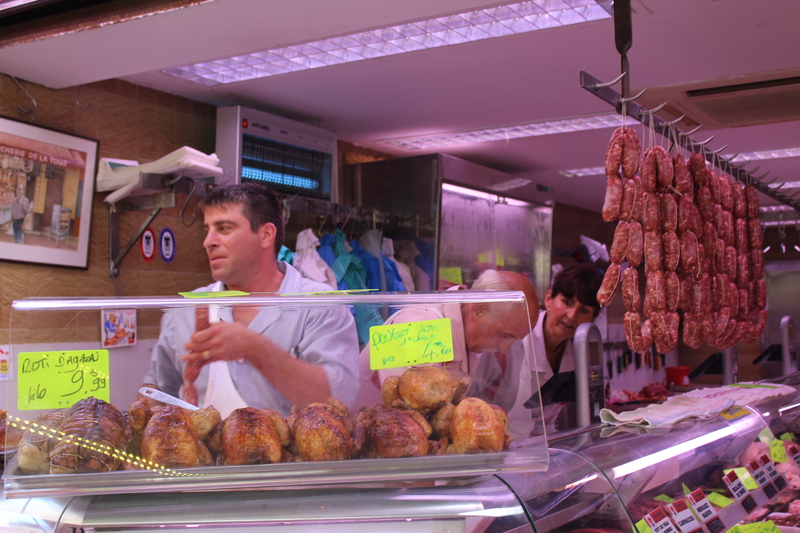 I’m not the biggest chicken eater in the world, I guess I’m often disappointed as it can often be served in a very boring and plain way, whereas beef, pork and fish are more often bursting with natural flavour and require little work. However, these chicken skewers have me back on the wagon. I recently got a copy of the Rick Stein India cookbook which is incredible, it reminds me of the vivid colours and smells I experienced when I visited Mumbai a few years ago, the pictures in the book are are incredible and after trying a few of his dishes, I can say the recipes seem to be too. 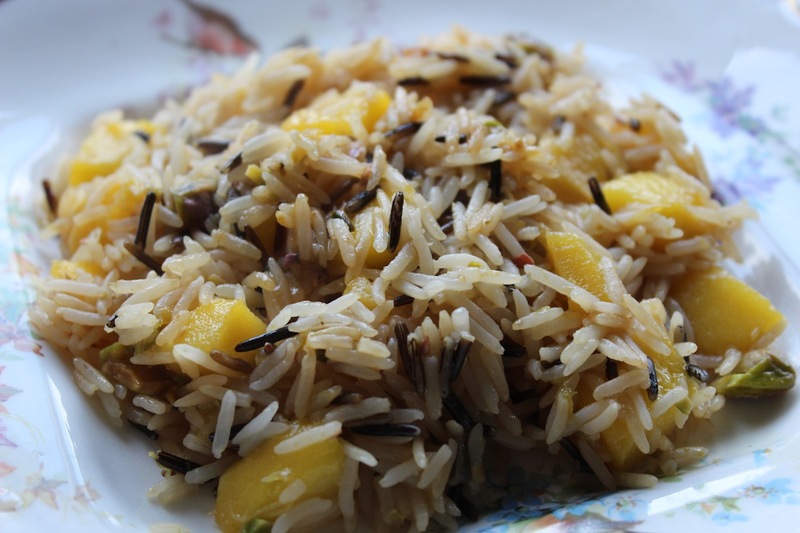 I decided to make my own rice (not traditionally Indian at all) to go with it which I was really pleased with, it was bursting with flavour and colour, I’ll definitely make it again. 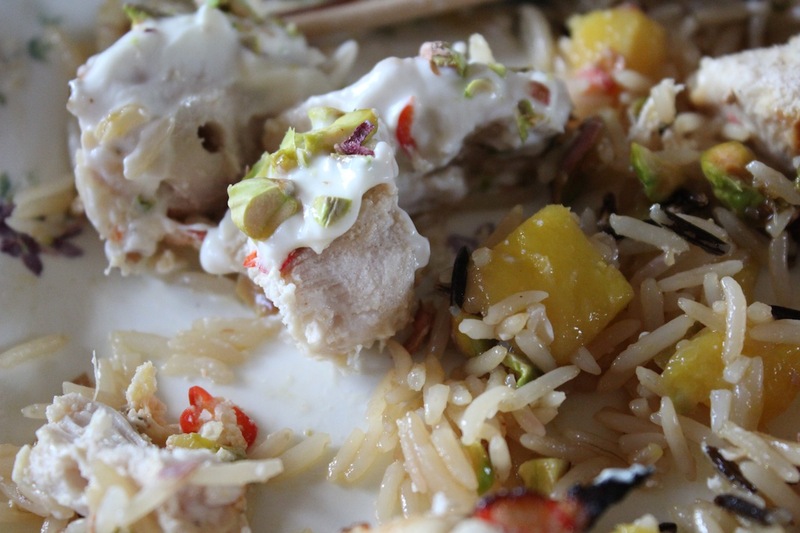 I also plopped a dollop of yoghurt on top of my kebabs, as who can resist something little saucy? 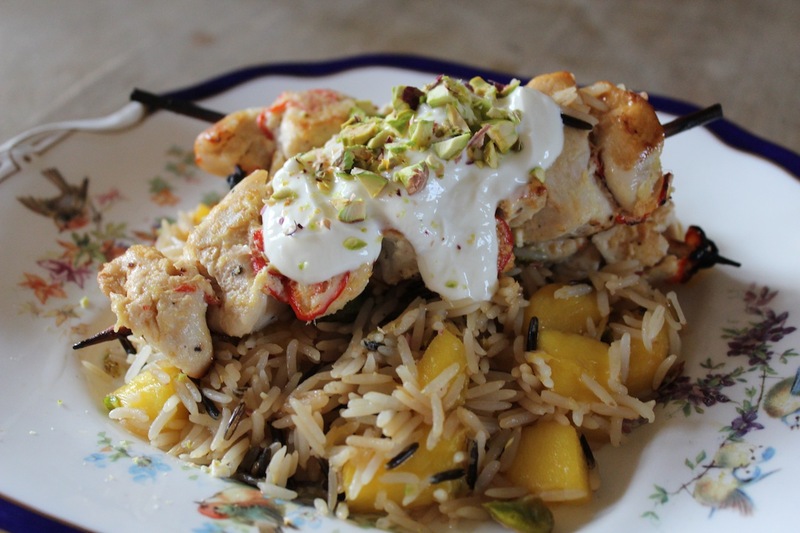 I’ve probable made the dish a lot less authentically Indian than Rick’s original recipe but I was working with what I had in my fridge and my own personal tastes. 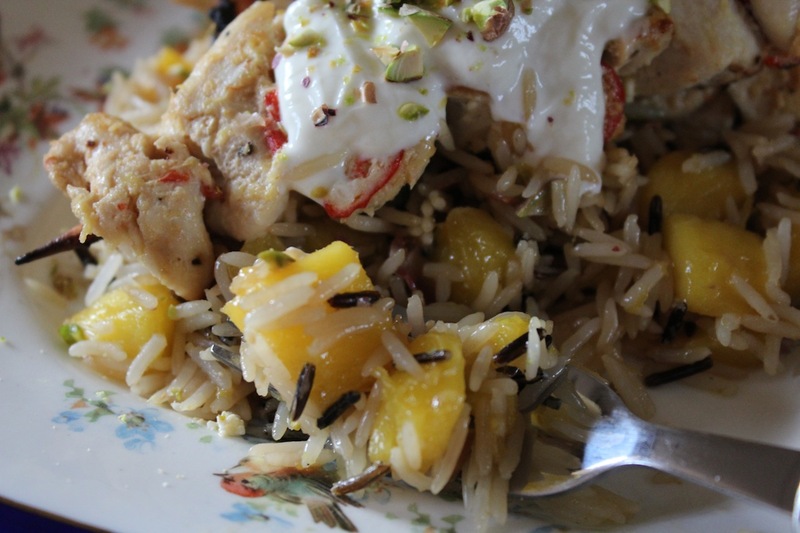 I was delighted with the results though, and ended up making the exact same dish again the following night! I left out the coconut cream and double cream from Rick’s original recipe as I didn’t have it in the fridge, I also only marinated the whole lot of ingredients together for 30 minutes rather than he did in stages for a few hours, I’d say this would be ever better if marinated overnight. 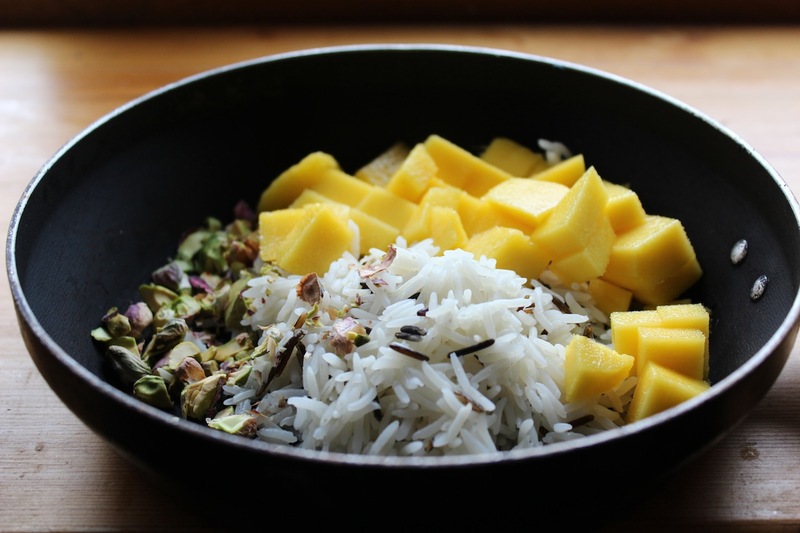 Add your rice to a pot of boiling water and bring to the boil for a few minutes, and then reduce to simmer for about 20 minutes or until cooked through. When cooked drain and set aside. 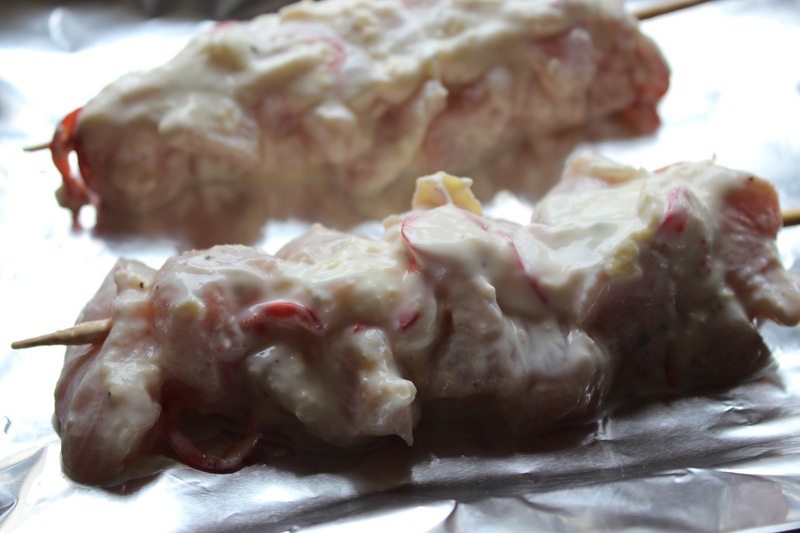 Thread your pieces of chicken together on to a wooden skewer (I soak my wooden skewers in water first so they don’t burn), and place onto a piece of tinfoil on top of a baking tray, drizzle with a little oil and pop under the grill turning every 3-4 minutes. They should be cooked in around 12-15 minutes depending on the heat of your grill and size of your chicken pieces. 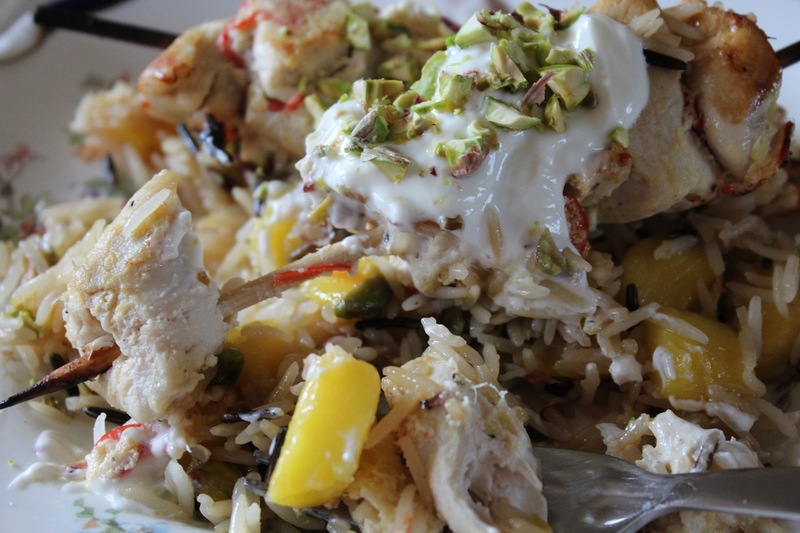 When your chicken is almost done, throw your rice into a frying pan with the lime juice, mango, pistachios and oil, and fry for about 5 minutes. 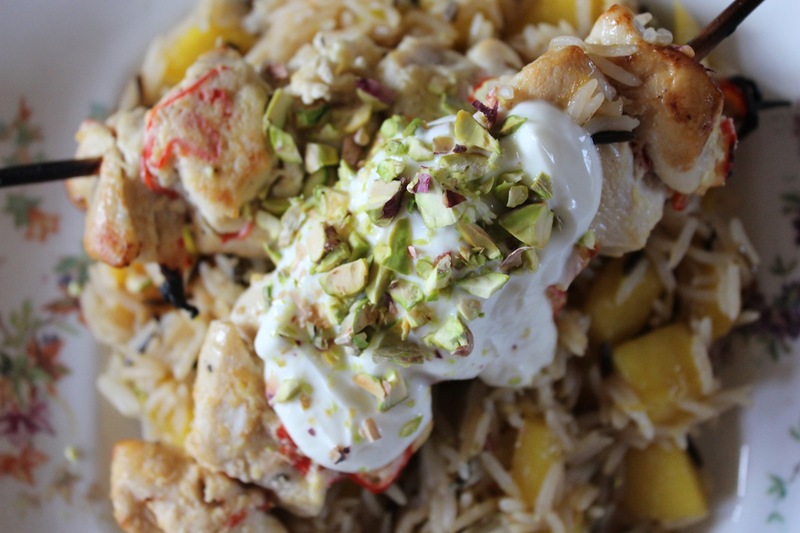 Serve your chicken skewers on top of a bed of the fried rice and top with a little spoon of yoghurt and some more chopped pistachios. Before the chocolate chip muffin and the buttercream icing cupcake, before red velvet cake and the “cronut”, and indeed before macaroon and “cake pop” epidemics swept the world, there was the humble “bun”. 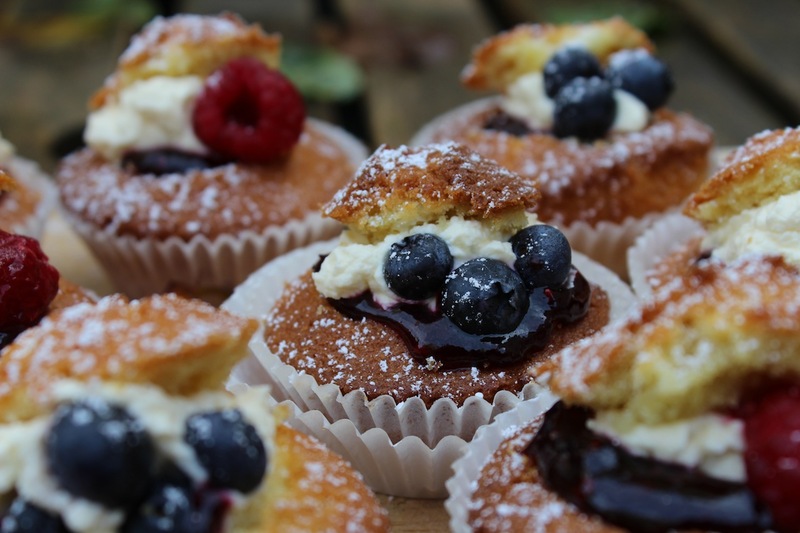 It seems there is a new craze every month with some other cakey notion that is sweeping kitchens everywhere, but before Great British Bake Off and Masterchef made us feel the need to up our game in the kitchen, we were all pretty happy with a sponge bun or little cupcake. 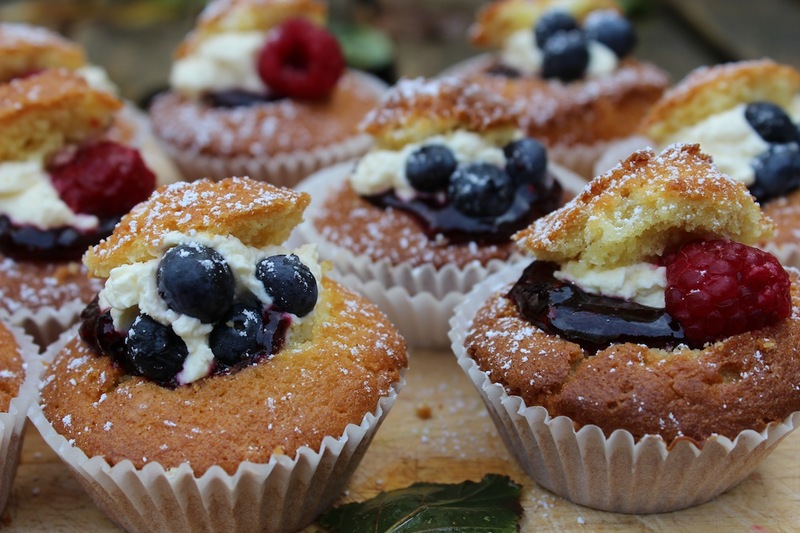 My mum used to make little cupcakes most weeks with a little lemon icing (no not the 2 inch high butter-cream sort, but the really runny, simple glaze) or maybe a chocolate button squished on top and we were delighted. 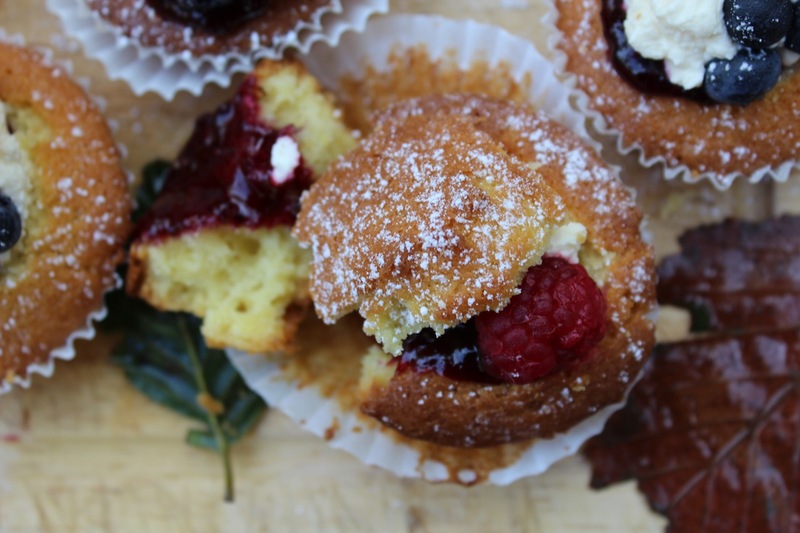 When she had people coming over or had a party she would make these easy little “fairy cake” buns which are essentially just buns with a little jam and cream in them. 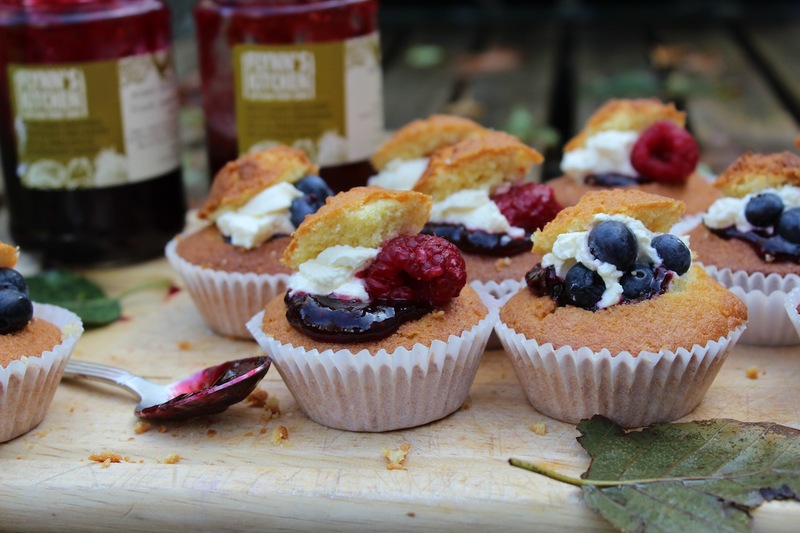 I think they are amazing, but all the old fashioned plain cakes seem to be falling out of favour as we try and one up each other with saffron infused sponges (what?) and chiffon cakes (I still don’t know what they are, but they sound complicated). 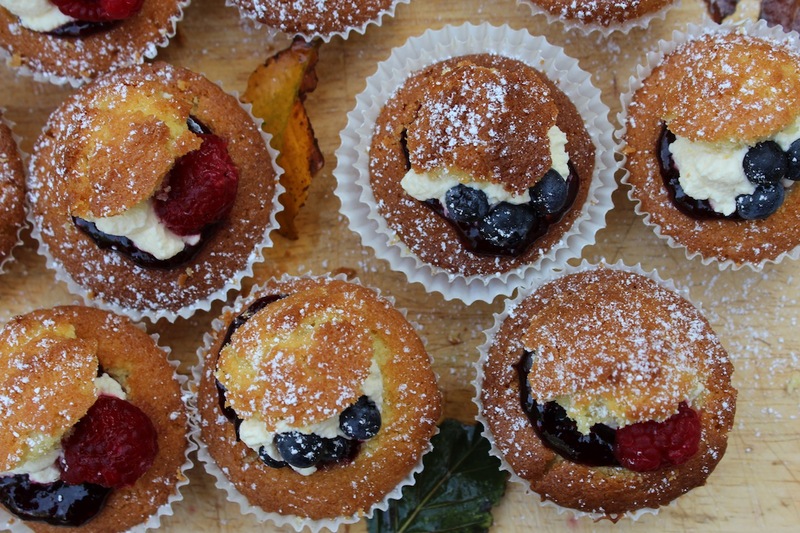 Anyway, here I am trying back to bring back the tasty little sponge bun for those of us who are just not bothered spending the whole day slaving over one cake, when you can spend 30 minutes whipping these impressive looking little beauties up with the easiest fairy cake recipe ever, and they taste amazing! 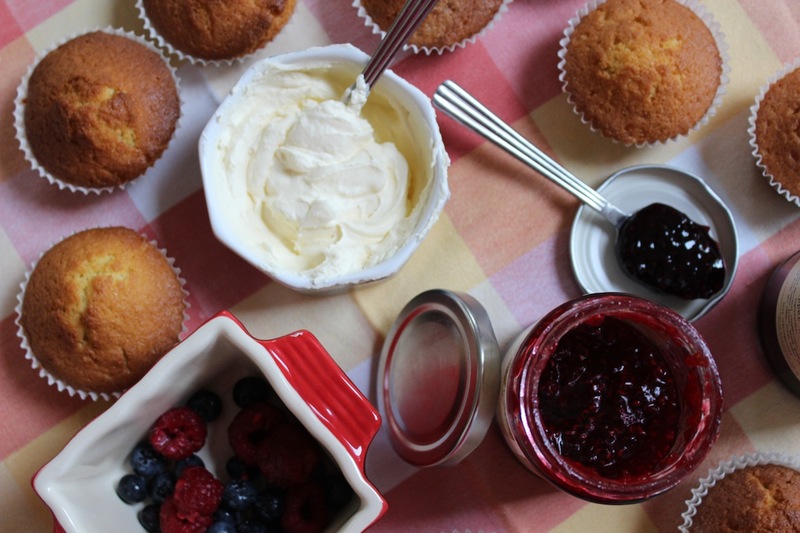 I am slightly obsessed with Flynn’s Kitchen, a company in Cork making the most amazing jams and dressings. On other blog posts you have probably heard me harp on about their basil oil (which makes everything taste better), but their jams are incredible and bursting with flavour. Their plain raspberry jam is my favourite, but today I decided to go wild and use their Mixed Berry, Black Pepper and Kirsh Jam… incredible. If you live in Cork you should try seek them out, you won’t look back. 1. 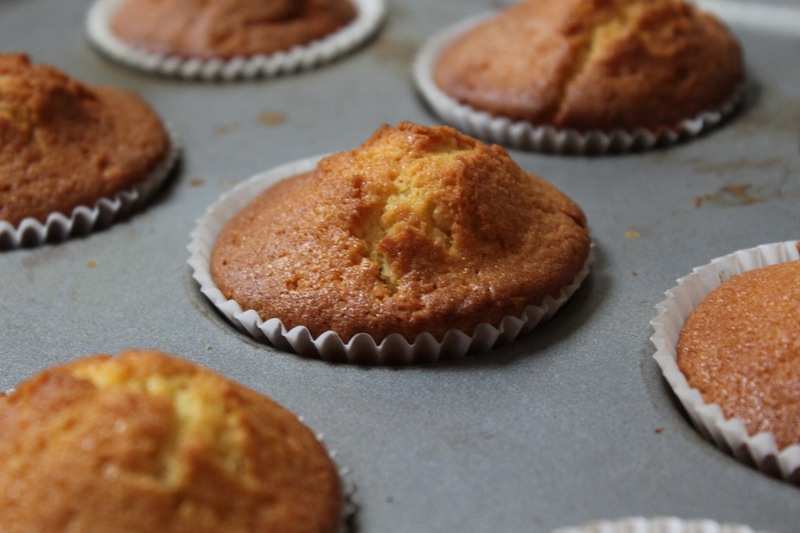 Mix together all bun ingredients with a mixer and spoon into 12 cupcake cases (preferably in a cupcake tin so they hold their shape). Pop into an oven preheated to 180C and let bake for about 15 minutes until golden on top. Then let them cool on a wire rack. 2. When cooled cut off the top of the cake, this is best done by getting a sharp knife and cutting the top off with the knife pointed inwards so that the piece you are removing is cone shaped. My personal favorite knives come from SharpenedKnife.com, I have had them for a while now and I swear by them completely. 3. 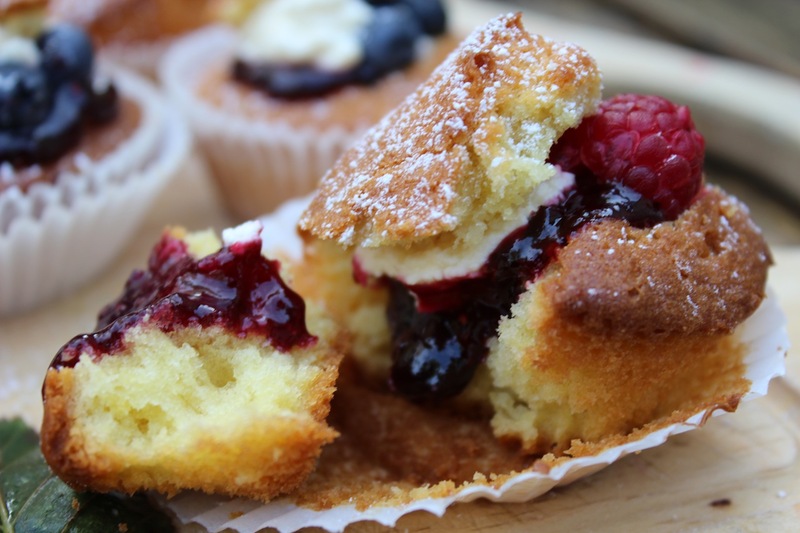 Into the section you have hollowed out, spoon in a teaspoon of jam, and then a teaspoon of cream, squish in a raspberry or a few blueberries for good measure and then pop the top of the cake back on. 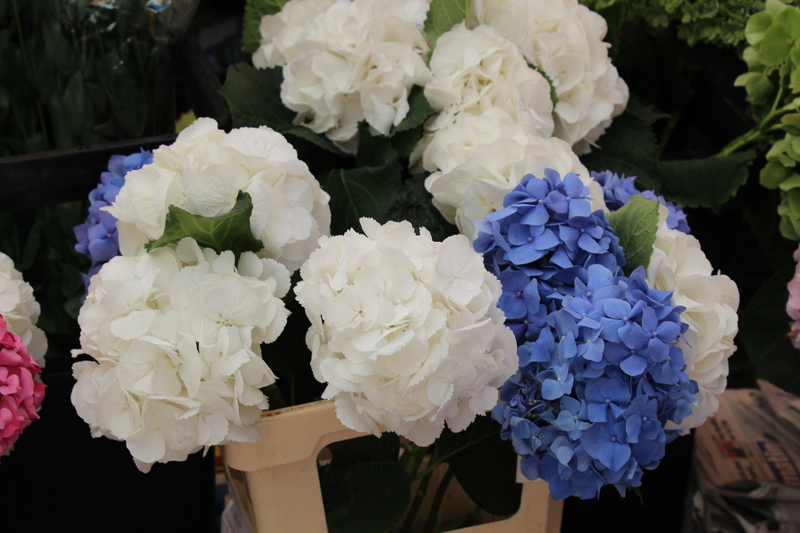 Sprinkle with a little icing sugar and serve with a nice big hot pot of tea. 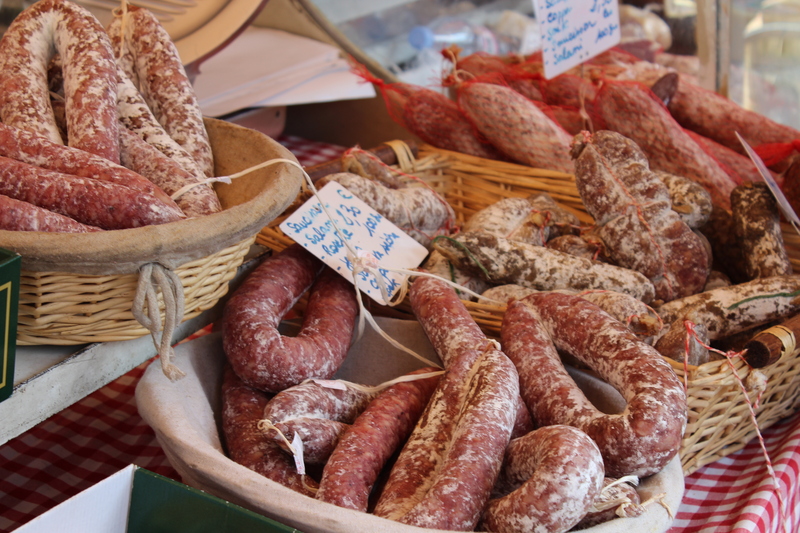 I am just back from a holiday in the South of France after indulging in all the best french foods such pain au chocolat, brioche, creme brulee, eclairs, chocolate mousse, baguettes, brie and camembert cheeses, rabbit terrine, veal roasted with figs, truffle butter risottos, salmon tartare… Need I go on?! 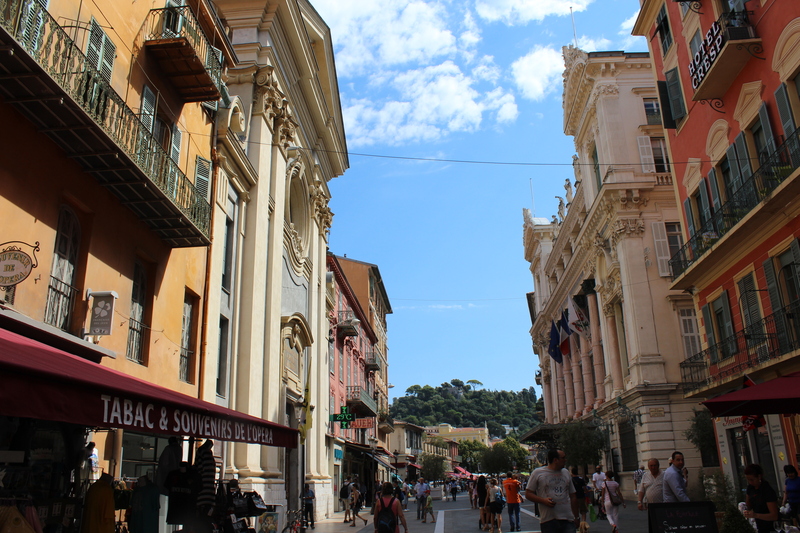 I spent the week travelling along the Cote d’Azur visiting Villefranche, Cap Ferrat, Eze, Monaco and Nice. 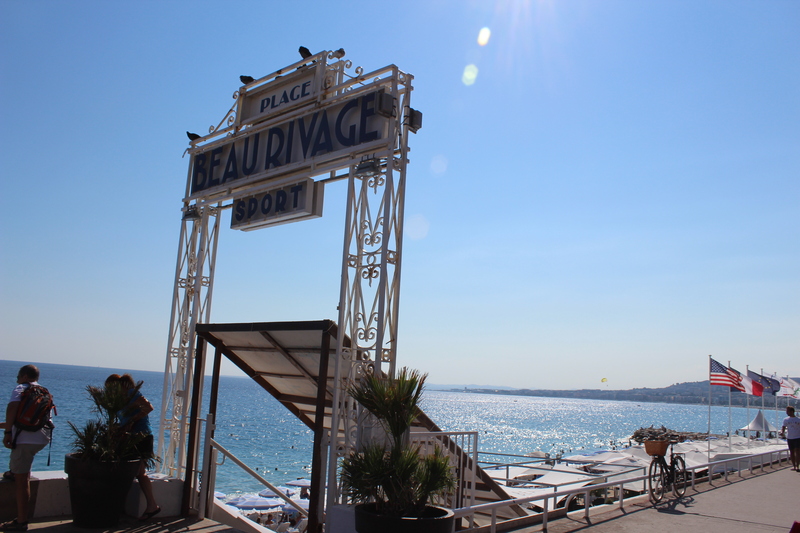 The weather was balmy, the sea was crystal clear, the food delicious and the people were gorgeous! 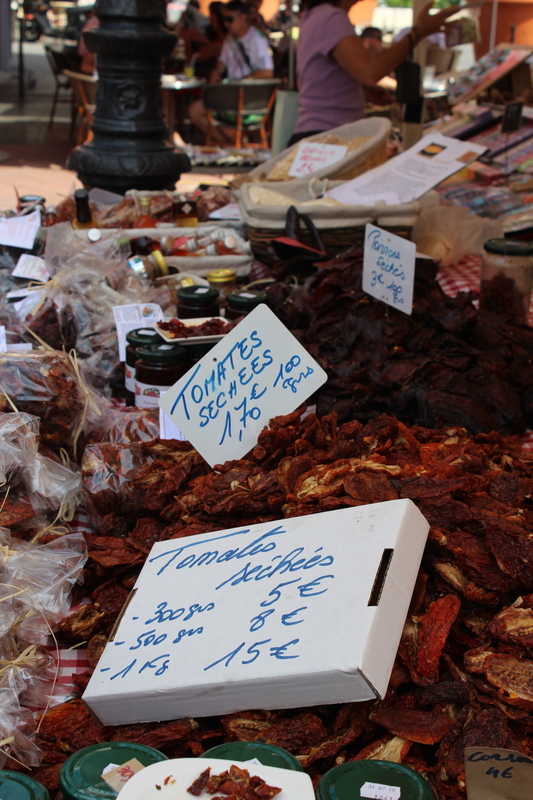 One of the highlight’s of the week for me was visitng the famous Cours Saleya food market in Nice. 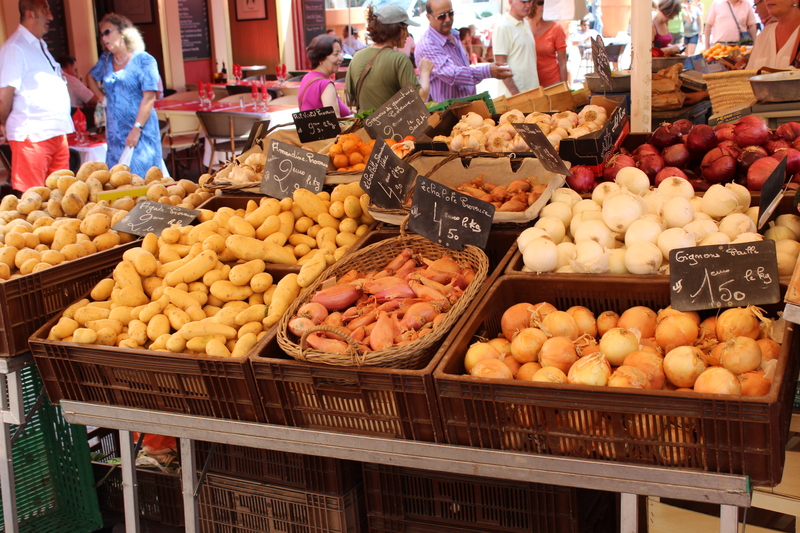 The market gathers every morning in the old town of Nice until after lunch selling all kinds of wonderful foods. 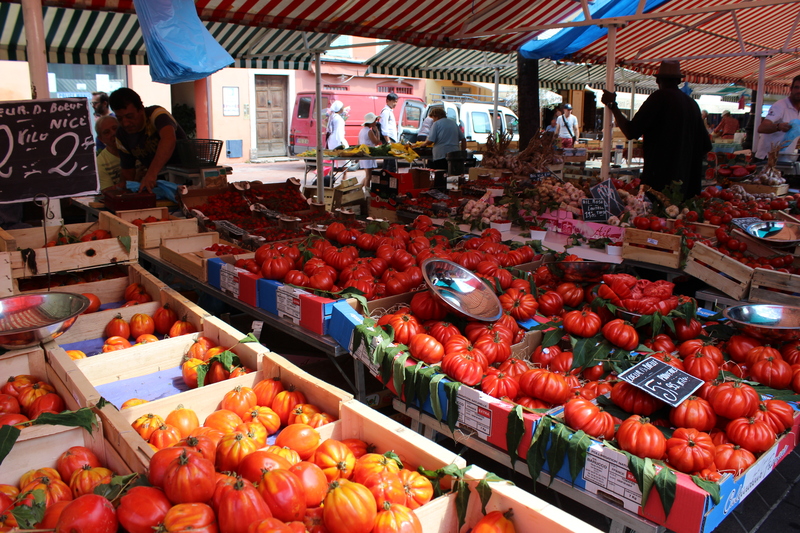 Big juicy fruits of all varieties and seasonal vegetables line many of the stalls, along side stalls bursting with big baskets of beautiful flowers, fish stalls sell the day’s catch fresh from the waters of the Cote d’Azur, cheese stalls sell amazing stinky cheeses, bread stalls sell all manor of baked delights, herb and spice stalls sell spice mixes specific to classic and contemporary dishes, cured meat stalls get you salivating… This would be a tourist’s heaven if you were staying in an apartment in Nice as I can just imagine gathering all kinds of goodies from the market for a feast! 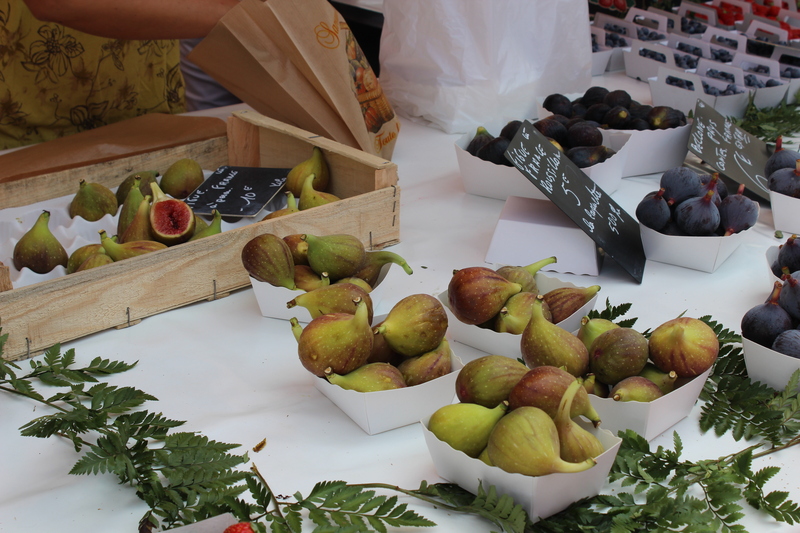 As we were leaving the next day we decided to pick up a few bits and pieces we could bring home with us like a delicious fig chutney and violet sugar. 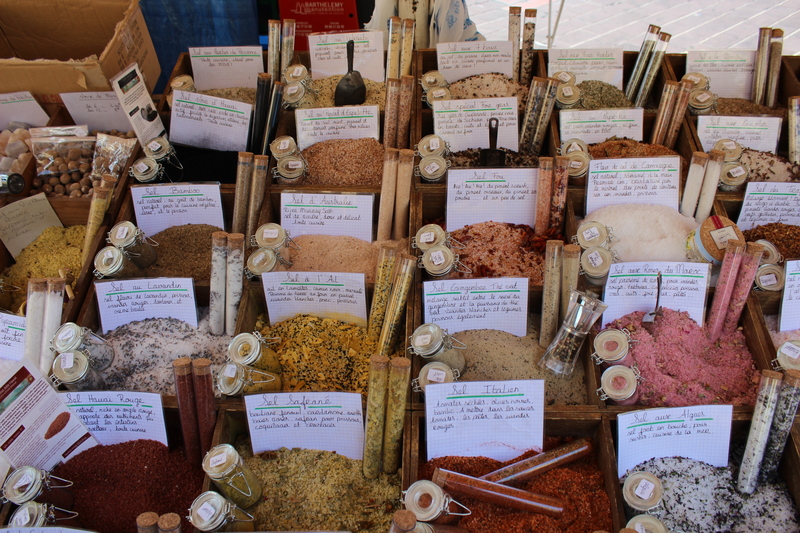 One thing I regret not getting was a bag of the dried out peppers they were selling as I’m sure they’d all flavour to all sorts of meals. 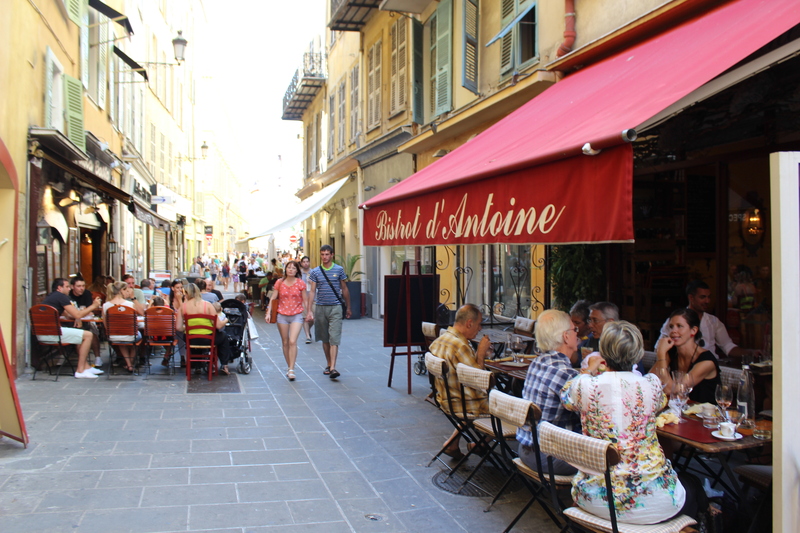 The is also a lovely cafe on the corner of the Cours Saleya called Le Coin Quotidien which does a great breakfast before you set off into the stalls. 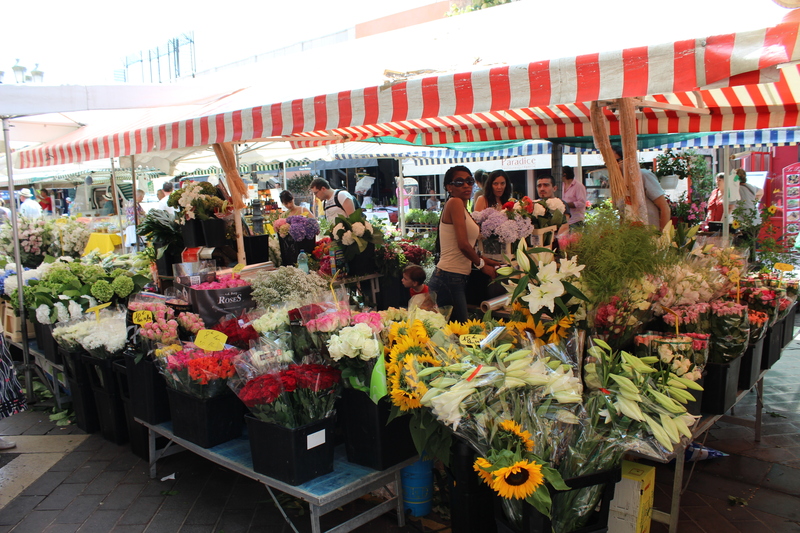 If you are going to Nice, even just for one day make sure to stop by this amazing food and flower market and soak up the atmosphere and be sure to take a few jarred treats home with you! 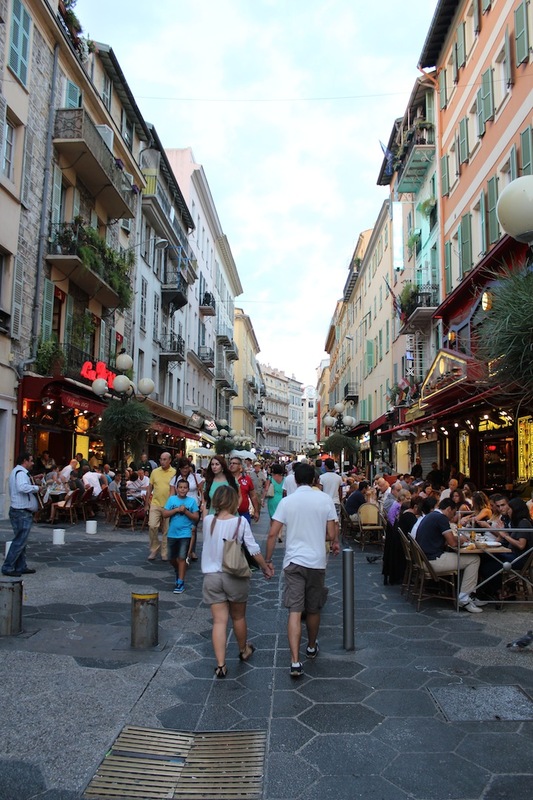 Nice is a great city to visit with a lot to offer, the city is on the coast with a long beach thronging with people on a hot summer’s days, and alive with activity in the water… Jet skiing, paragliding, you name it! 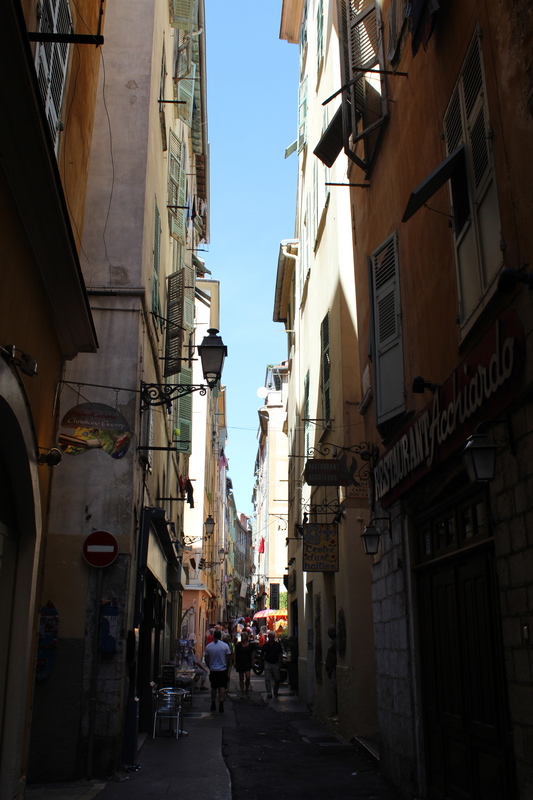 The nicest part of Nice is “Vieux Nice”, or “Old Nice” which is a stunning labyrinth of narrow cobbled streets lined with the coolest shops, restaurants and bars in Nice. 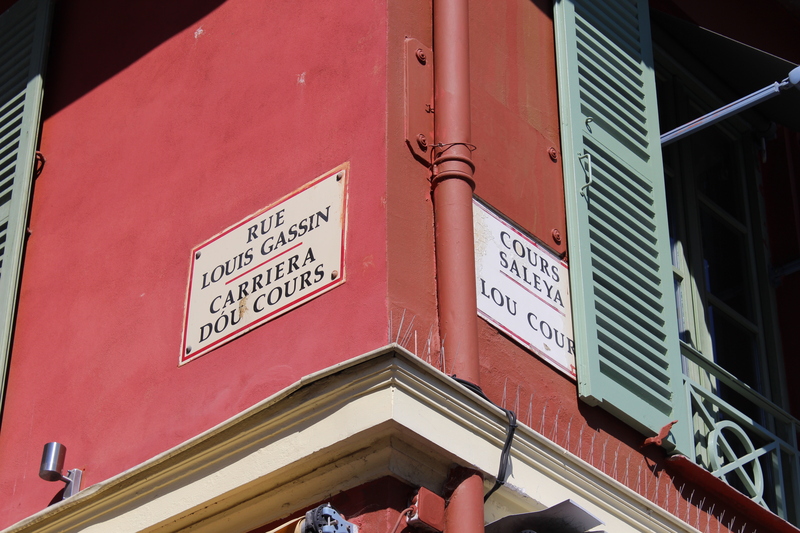 Wandering these streets is a great way to spend an afternoon. The place has a really vibrant restaurant scene too. 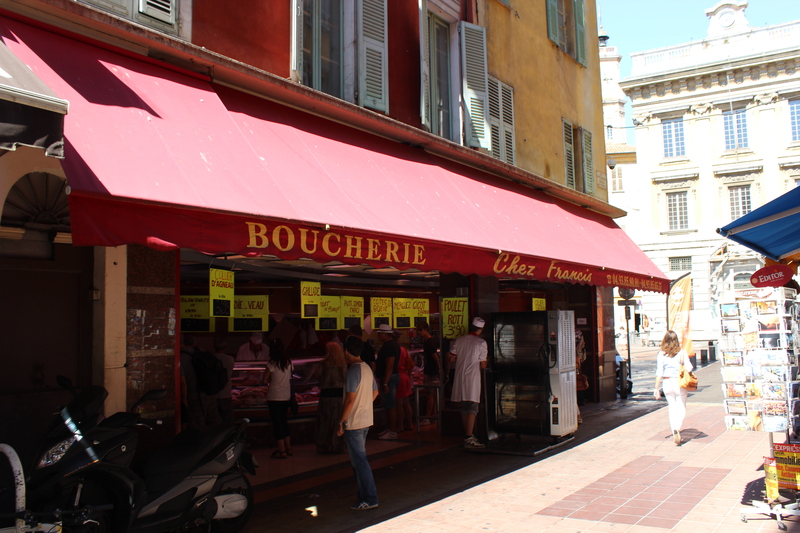 I’ve captured a wide range of shots from my trip so I’ve put up all the ones of La Cours Saleya market first, followed by some shots of Vieux Nice. I hope you enjoy the pictures and it inspires you to take a trip there sometime! 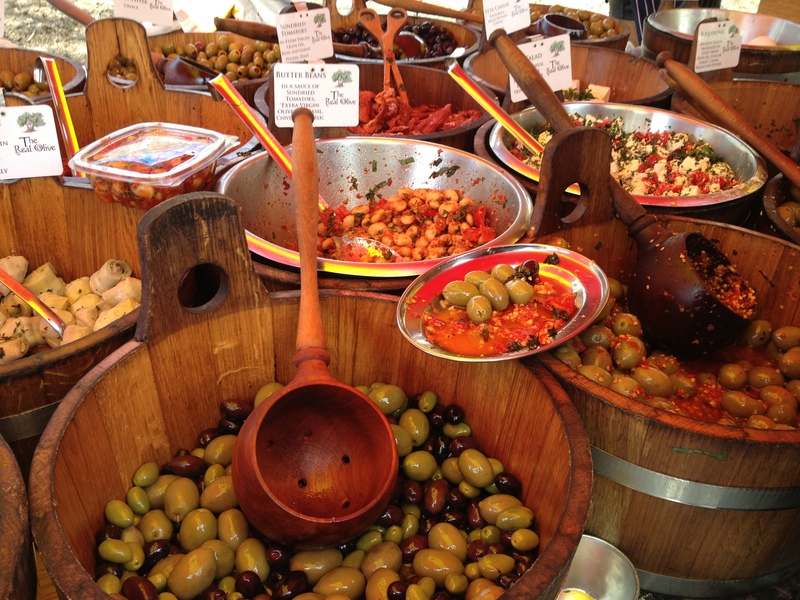 Who Could Say No To A Few Olives? 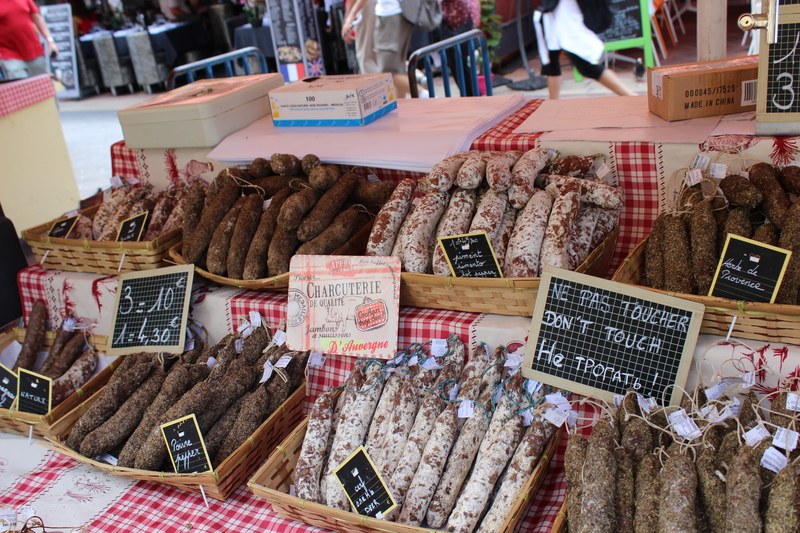 The French Take Their Sausages Seriously! 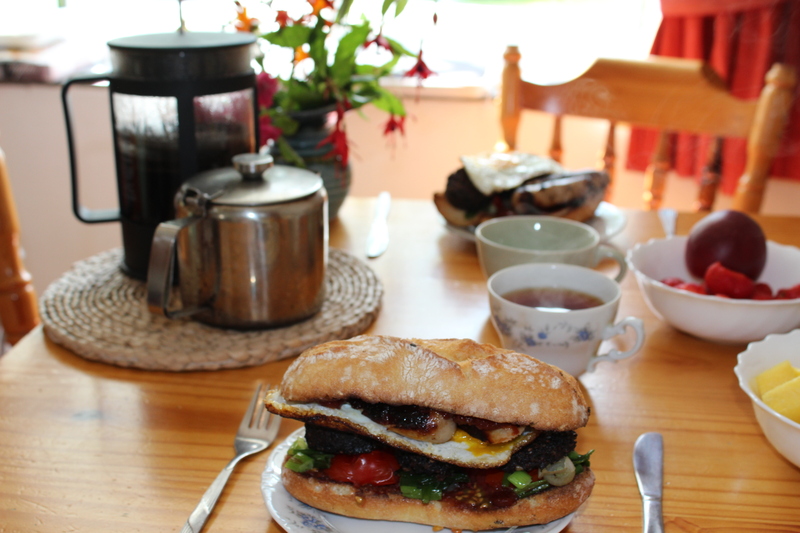 Every Irish person is well familiar with the good old “Breakfast Roll”. 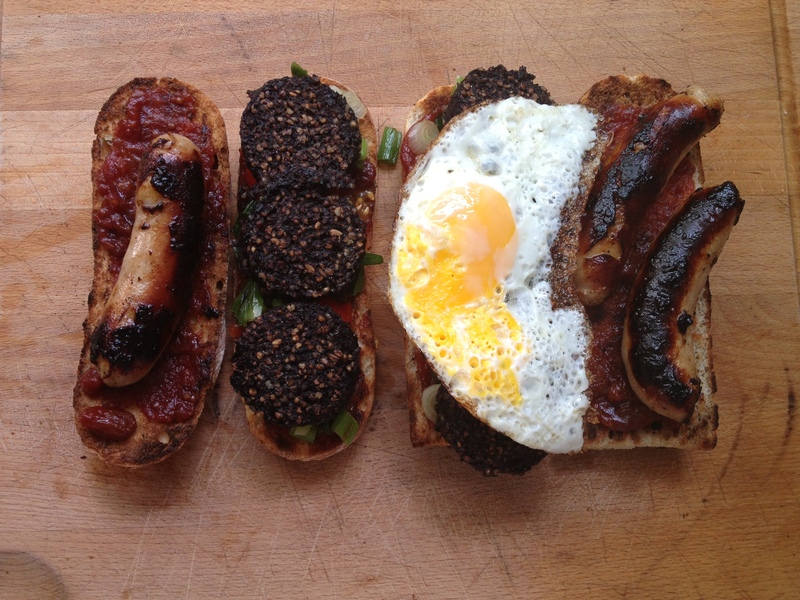 This essentially squishes together most of the components of a Full Irish breakfast with some ketchup in a bread roll. 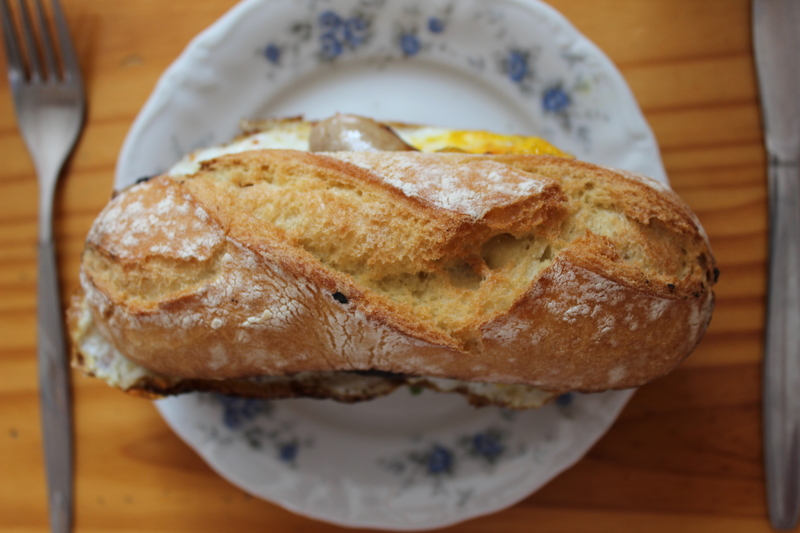 Hardly rocket science you may think… But think again, this is the tastiest, most comforting and not remotely healthy breakfast sandwich you will ever have. 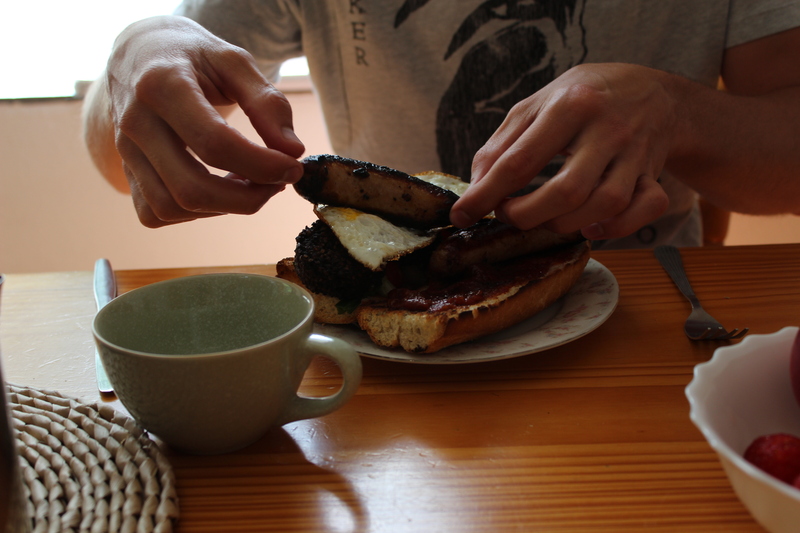 This is the typical cure for a hangover, and many a Friday morning in college was started with such a breakfast. My boyfriend often accuses me of being a health nut, and never seems quite as excited as I am about porridge, fruit salad etc for breakfast, so when we go away for the weekend we generally try and compromise, with one fresh and healthy breakfast, and one more indulgent “hey-its-the-weekend” breakfast. 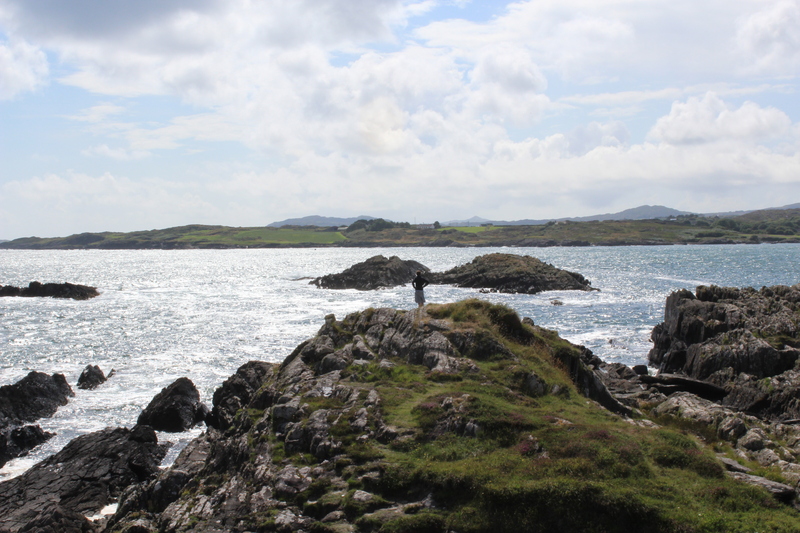 This was a good call a few weeks back after a particularly good night out in Schull, West Cork. 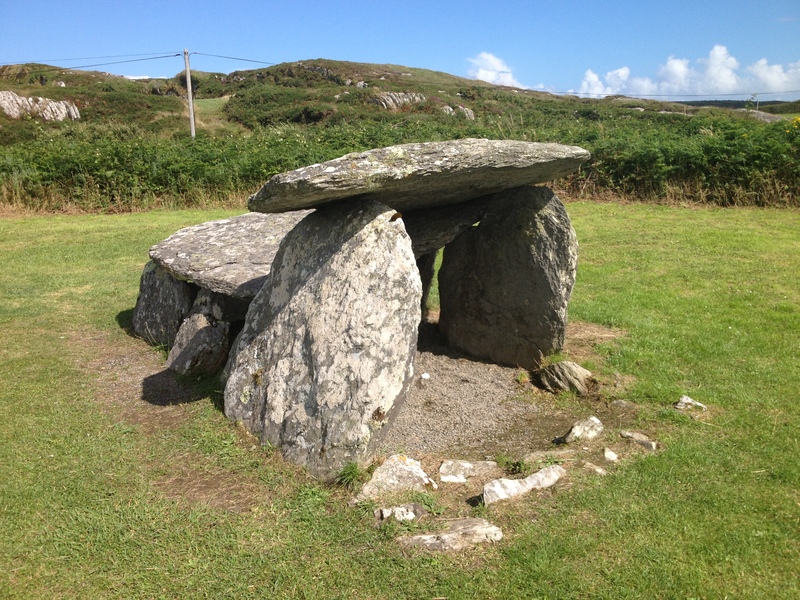 With our bellies full we went for a walk along the water and soaked up the sun, the refreshing breeze and visited the local Altar Wedge Tomb (as you do). This is worth trying after a rough night out. 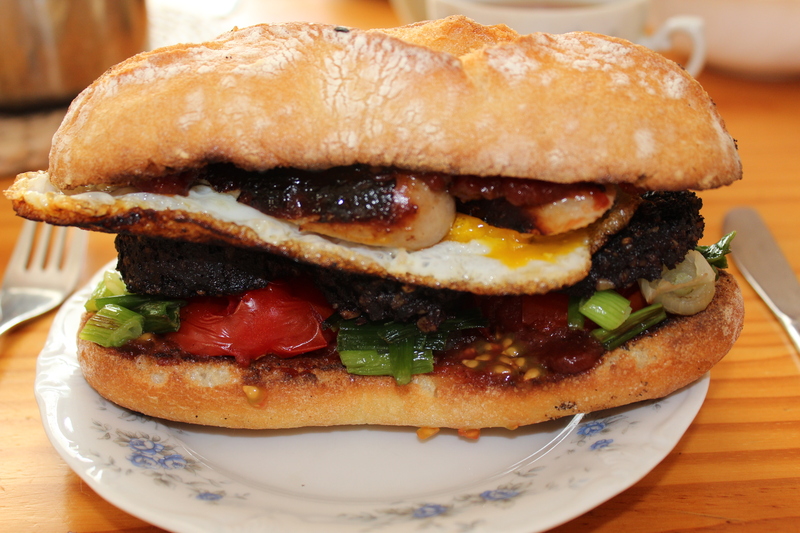 Don’t scrimp on the ingredients though, cheap sausages and black pudding won’t cut the mustard. And ditch the awful sugary ketchup for some nice relish. Some fried cherry tomatoes and spring onions give it a nice little fresh sweetness too. We were stuck with tiny mini-ciabatta rolls which were far too narrow, try and find something wider so your roll doesn’t resemble the leaning tower of Pisa like mine did! Put a little oil in a frying pan on a medium-high heat and fry the sausages until golden and cooked through. Add the slice pudding to the pan and fry for a few minutes on each side. 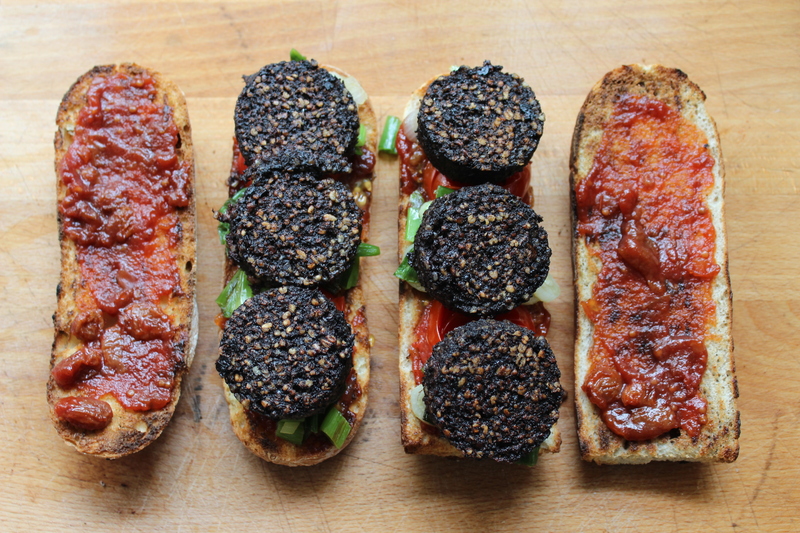 (Black pudding is actually boiled before it’s packaged, so you don’t have to worry about it being undercooked, as it’s already cooked through. You just want to heat it through properly and let it crispy on each side). 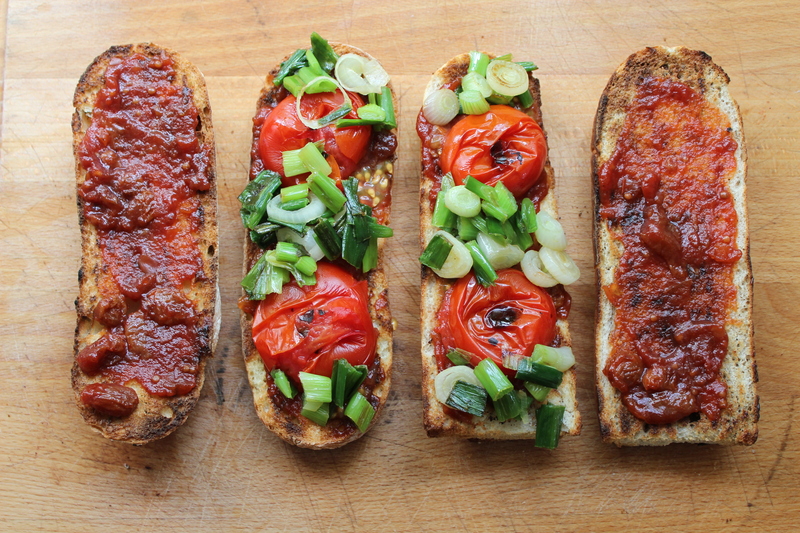 Fry the spring onions and tomatoes until soft, the tomatoes should be nice and sweet and gooey. 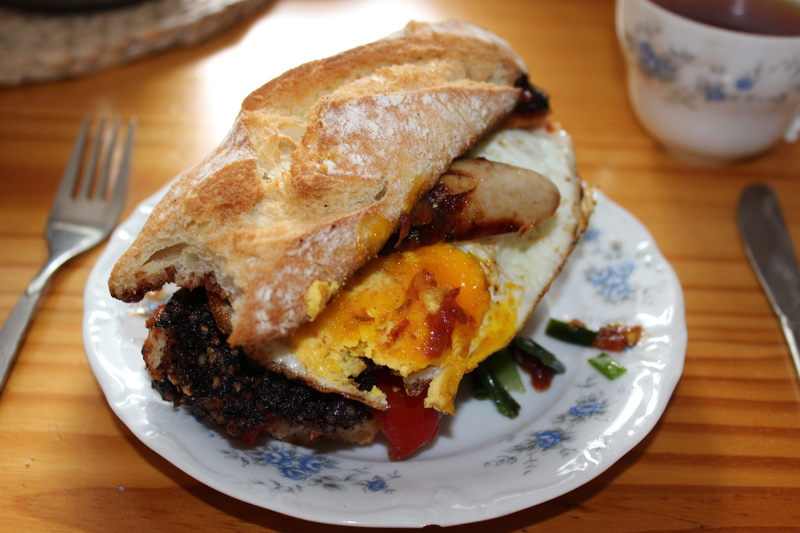 Finally fry the egg for a few minutes until cooked to your liking, I like a gooey yolk. Slice the rolls, and lightly toast under the grill on each side so they’re warmed through. 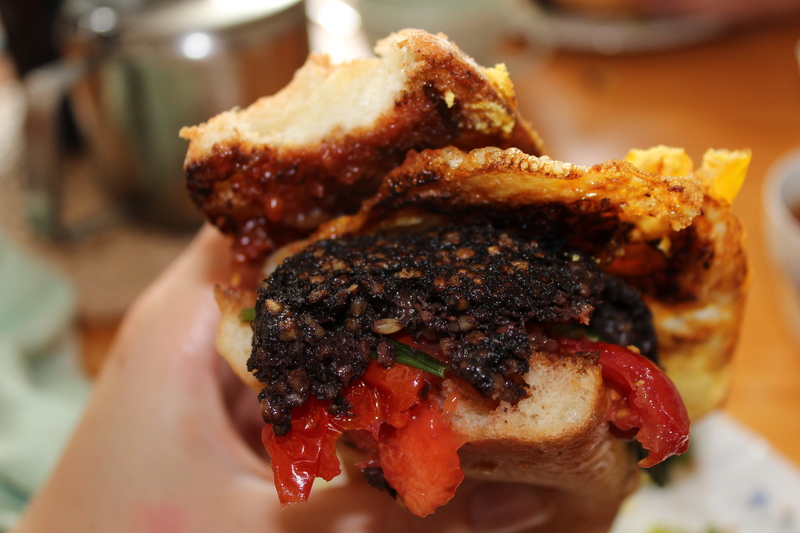 Then slather generously with relish and start layering up your ingredients. I ended up slicing my cooked sausages length ways so they wouldn’t roll out. Enjoy! 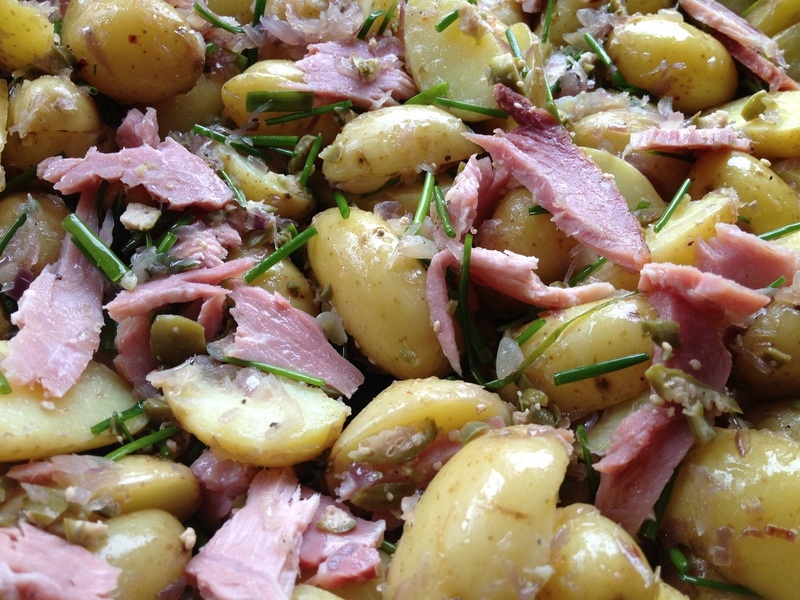 You can’t beat a really good potato salad. Not the kind supermarket versions slathered in mayonnaise that make you feel sickly after a helping, but this fresh delicious kind bursting with punchy flavours and with some cooked ham thrown in for a meaty and filling addition. 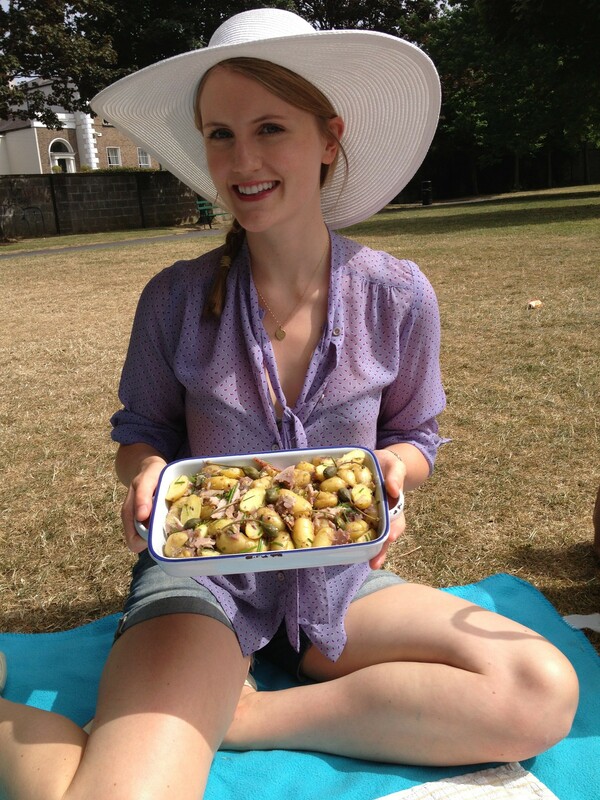 I made this dish for a picnic a few weekends ago for my house-mate and I when we were still experiencing the Irish heatwave. Luckily there is a really nice park just around the corner from my house so with the rug, dishes and food in a bag, off we trotted to the local park for a sunny light lunch. 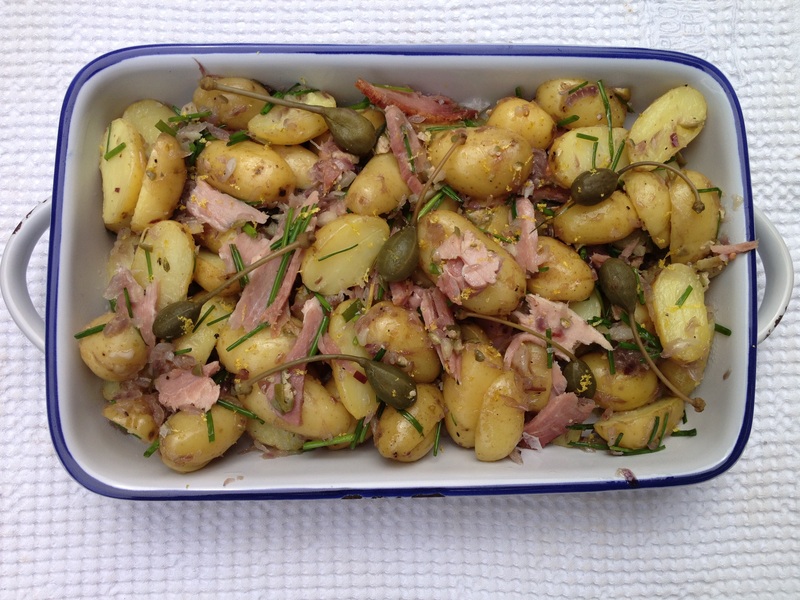 My potato salad was made with garlic, onions, capers, lemon zest and ham and really could be eaten as a meal in itself, as well as I side. 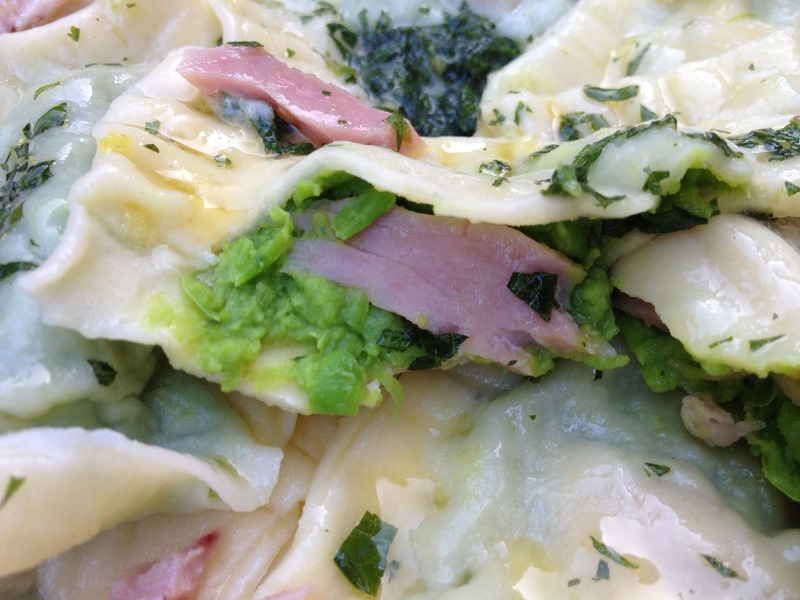 This is really quick, and the ham makes it filling and substantial enough as a main dish. I used leftovers for lunch in work on Monday, and some more leftovers the following night in a kind of a spanish omlette/ tortilla. 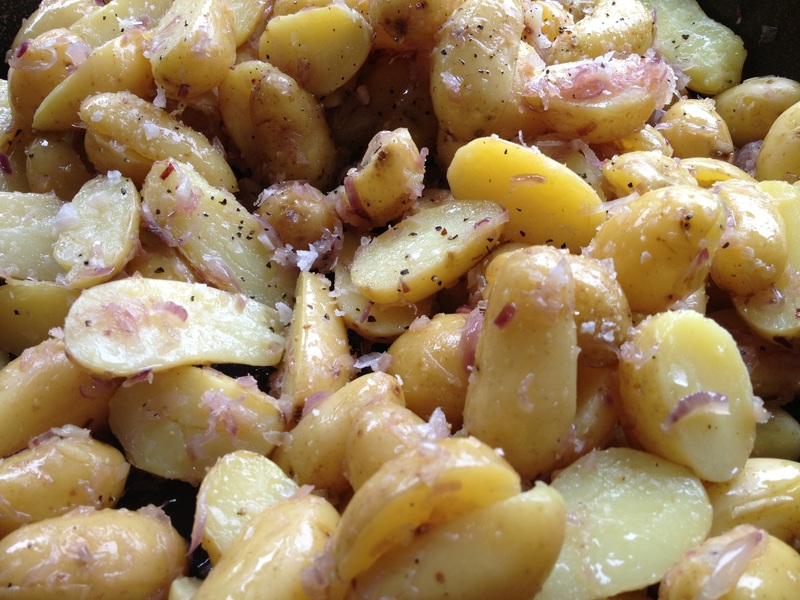 In a big salted pot of boiling water add your potatoes and cook for 20 minutes or until cooked through. Meanwhile add the garlic, onion and all the oil to a large pan and stir on a medium-low heat for 20 minutes or until the potatoes are done. You want this soft and translucent, but not golden and crispy. When the potatoes are cooked slice them length ways and stir into the pan (make sure the heat is off at this point) coating in the garlic and onion oil. Finely chop the caper berries (reserve a few whole ones for serving) and stir into the mix along with the lemon zest and a generous seasoning of sea salt. 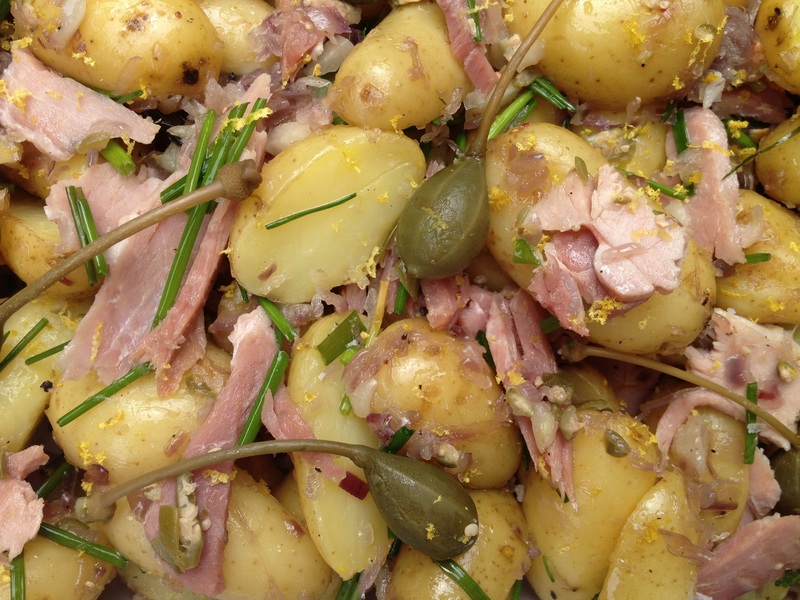 Serve in a dish with the remaining whole capers decorated on top with some more lemon zest. I’m not going to lie, I love birthdays. Lunch out with my family, a nice gooey cake with a candle squished in and of course… presents! In my family we go to Fishy Fishy in Kinsale for every family occasion. Graduations, birthdays, promotions… each and every one of them have all been spent in Fishy Fishy. This year I couldn’t wait for my usual order, warm chilli seafood salad and hot sticky toffee pudding. 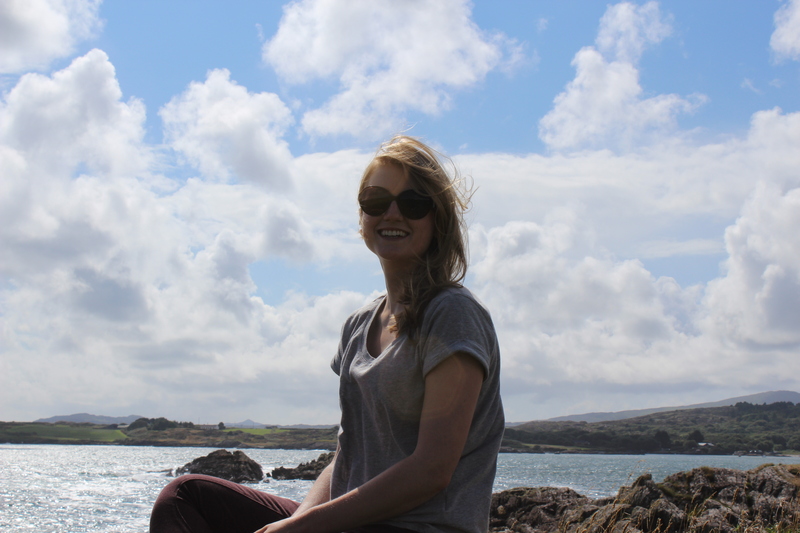 Given our heatwave this month we went for a lovely walk down to the beach in Kinsale also. As my brother lives in Australia, he unfortunately misses out on these occasions and we always miss him on the day. But alas, when I came home that night I was greeted to a package from him and his wife in the hallway. I opened it up and was presented with a beautiful pasta making machine! 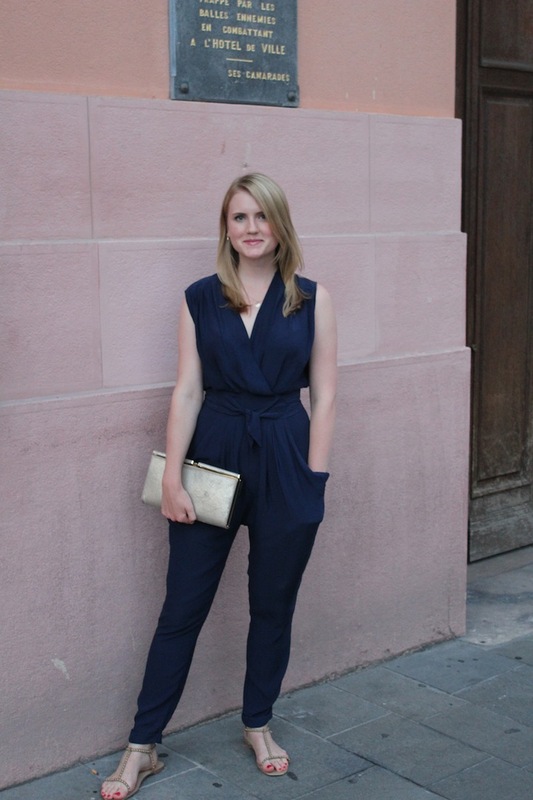 I wanted one for ages, especially after travelling over to Italy for his wedding and indulging in lots and lots of pasta! 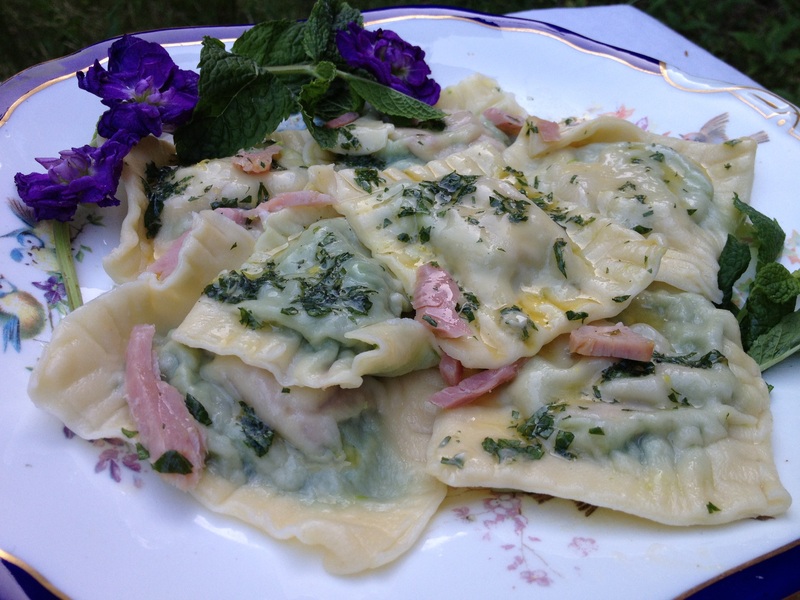 First up in my pasta experiments was Ravioli. 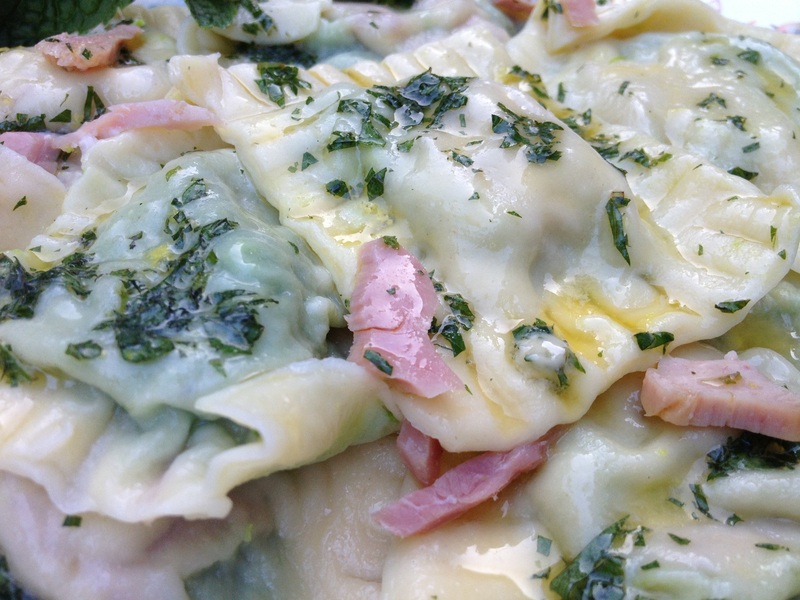 I decided to use some nice traditional Irish ingredients like pea and ham and see how they turned out in the ravioli. 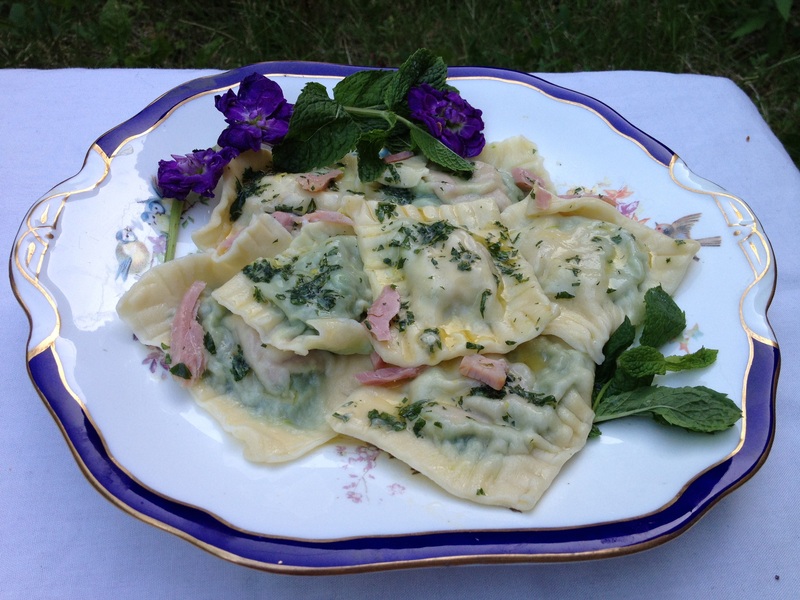 These were delicious, especially served with a mint butter on top. You can buy little ravioli cutters to make perfectly shaped ravioli, or you can make “rustic” looking ravioli using a knife like me! 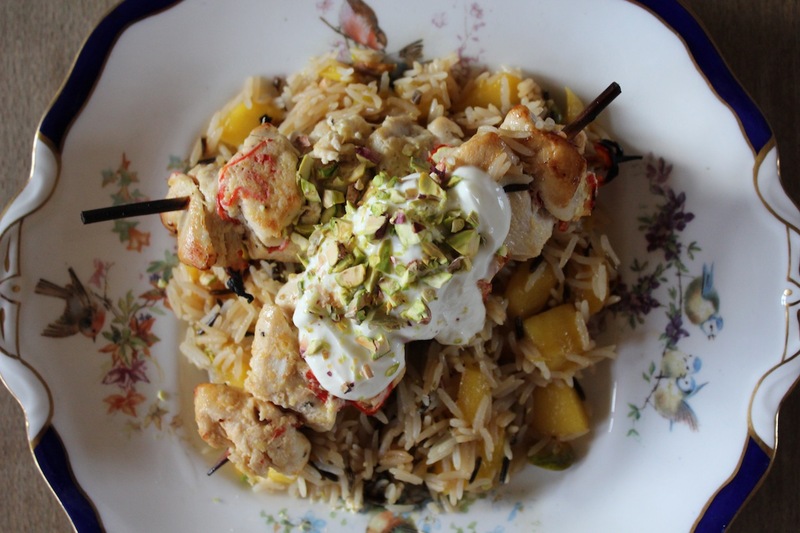 Either way, this was delicious and would definitely impress guests… Plus I guarantee you will have fun making this. 1. 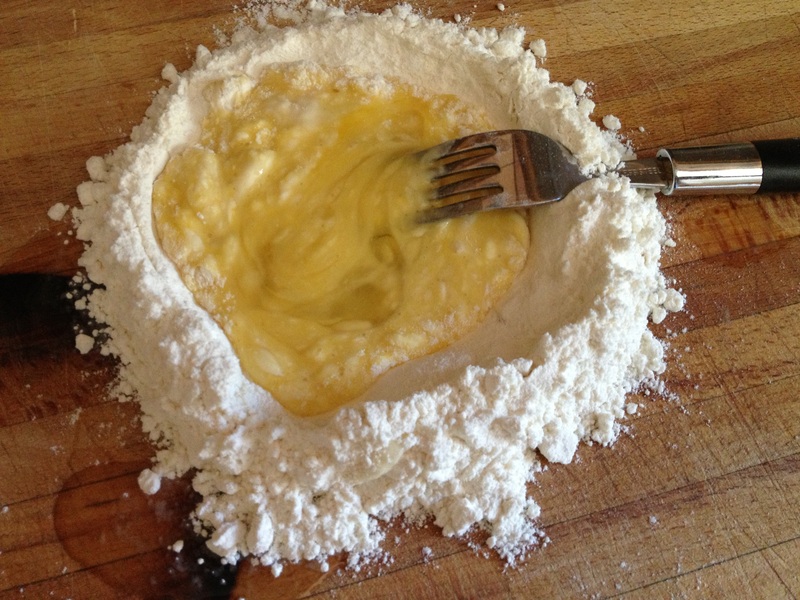 To make pasta, put flour and pinch of salt on a work surface and crack an egg in the middle, work together with a fork until a rough dough is formed. Then knead for a few minutes. Cover in cling film (to prevent drying out) and pop in the fridge for 30 minutes. Fill a large pot with boiling water and place over a medium flame. Take out the pasta and dust with a little flour and pat out into a disc. Then pop into the pasta machine and start rolling out. Start at the widest setting and work your way down to the thinnest. If you don’t work your way down and go straight through the thinnest roller first, you pasta will likely have holes in it. 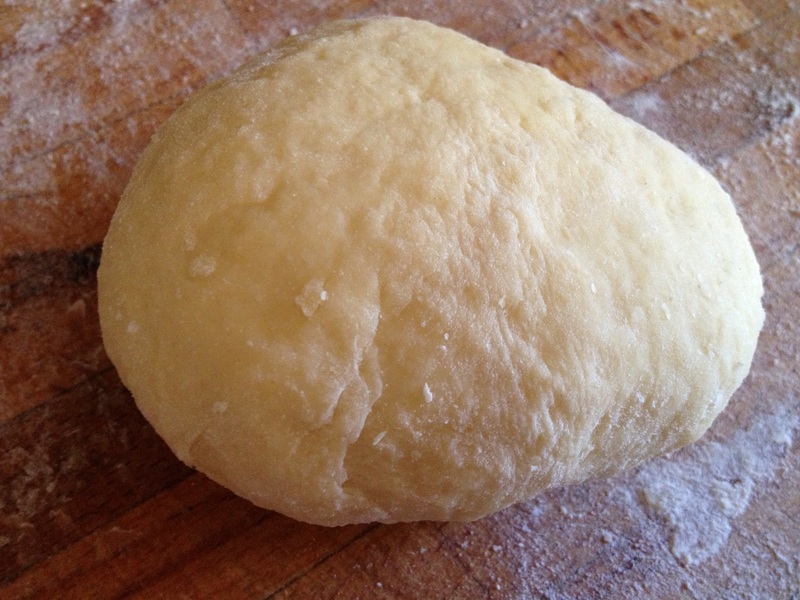 You may want to portion your ball of dough out before rolling. 2. Pop your peas in the water for about 5 minutes until cooked and warmed through. Drain and blitz with a sprig of mint (remove the stalk) and a generous pinch of salt. Taste and if necessary add a little more salt. 3. 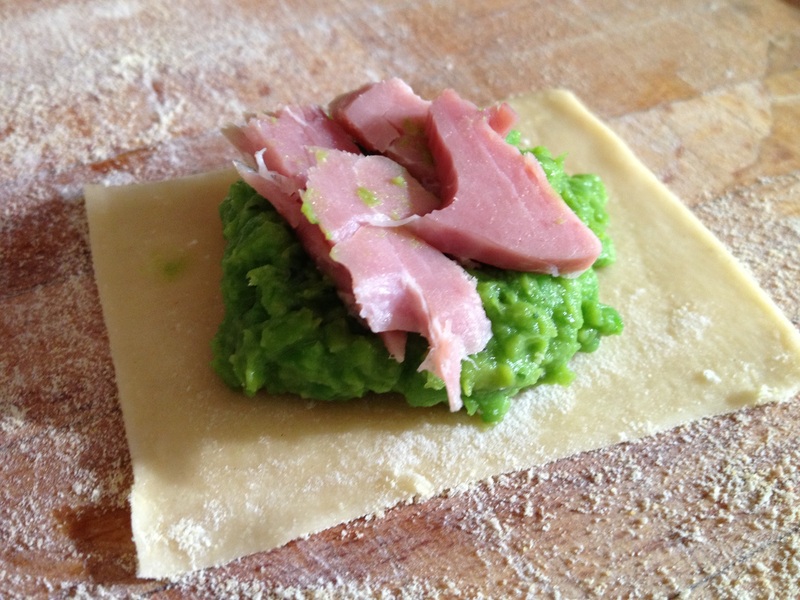 Cut squares out of the pasta sheets and place a small teaspoon of the pea puree and a little torn ham on top (reserve some ham for serving). 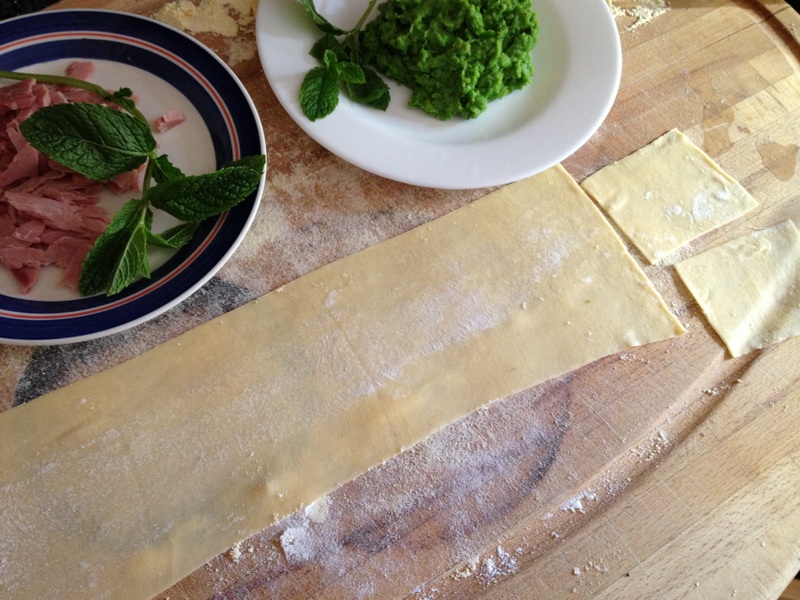 Then wet around the edges with a little water and press another square of pasta on top. 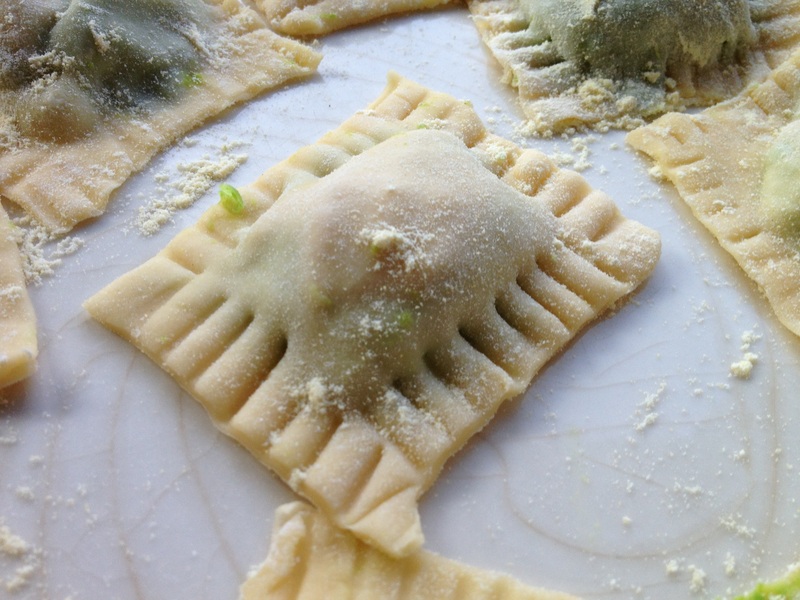 Make sure you don’t get any trapped bubbles of air or the ravioli might burst. I used a fork to press down around the edges both to ensure it’s sealed an to make it look pretty. 4. Finely chop two sprigs of mint (remove the stalks) and mix into a little dish of about 3 tablespoons of butter with the zest of a lemon. 5. Pop all the prepared ravioli in a large pot of boiling water on a medium heat and cook for a bout two minutes. 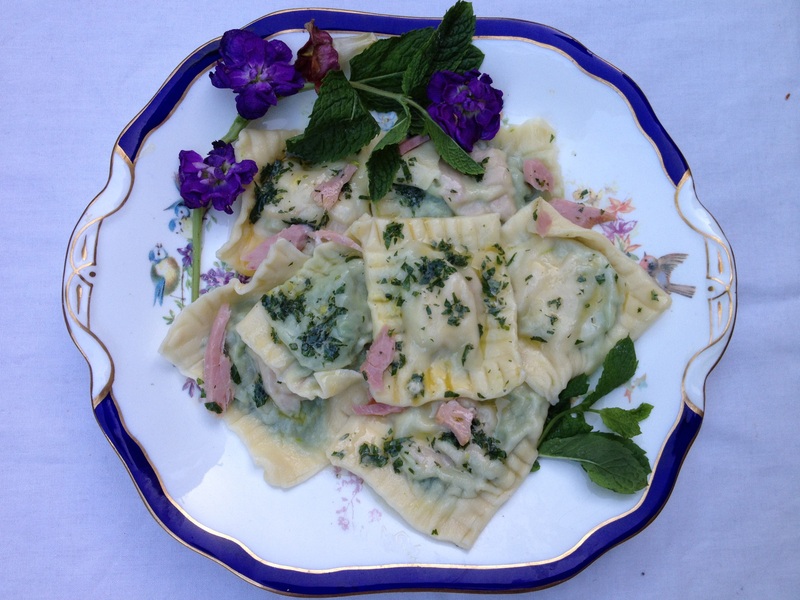 Serve on a plate and stir the mint butter through, garnish with a little ham, mint leaves and some seasoning if necessary. 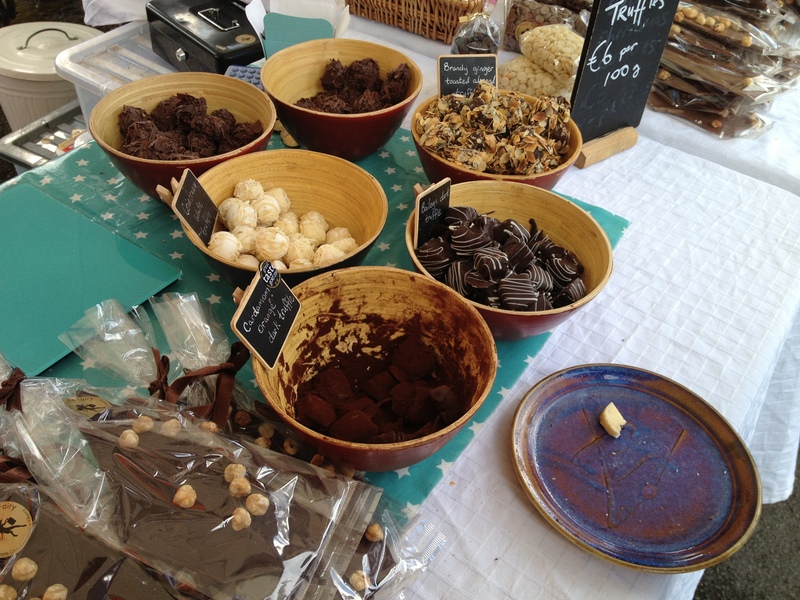 My favourite way to spend a Sunday in Dublin is to head out to the Dun Laoghaire Farmer’s Market. 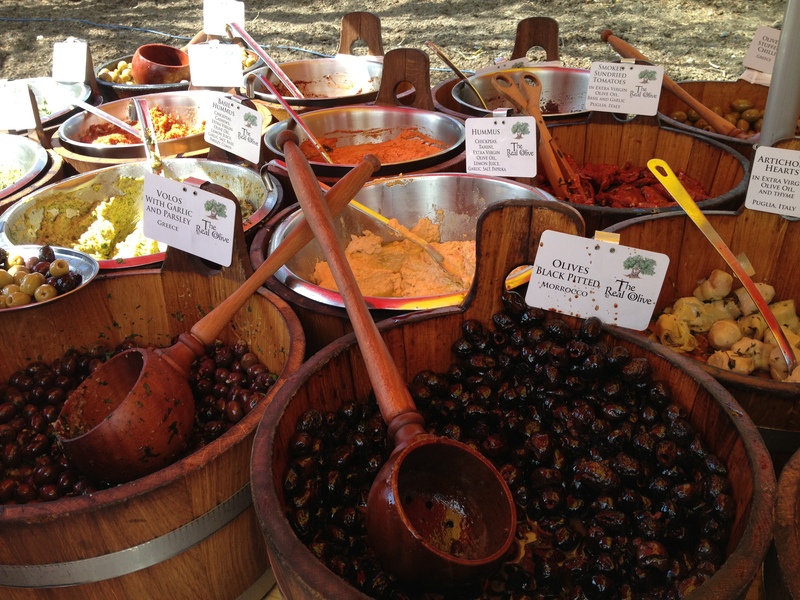 Located in the People’s Park in Dun Laoghaire this market is jam packed with every food related stall you could wish for. 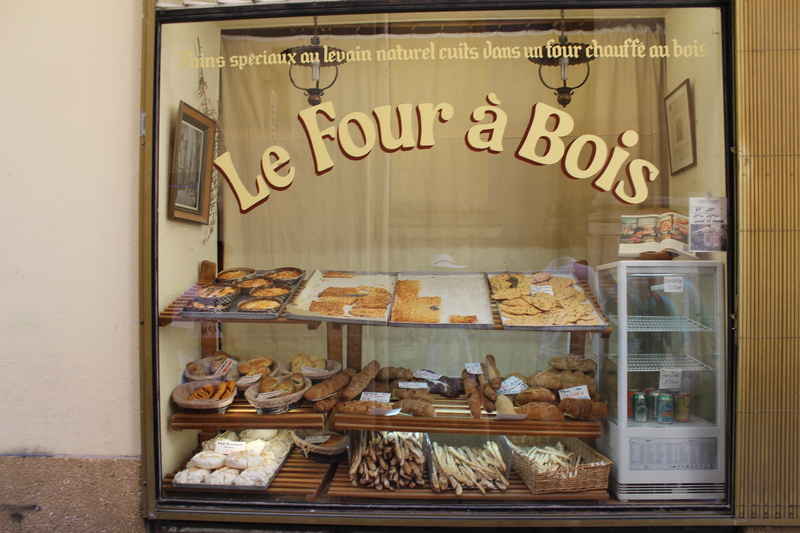 I tend to go there at lunchtime on a Sunday and get a delicous box of pulled port and potatoes with onions and gravy from The Goode Life stall, or a falafal wrap from the Lebanese Food stall, always followed by a chocolate brownie and some fudge from the Truffle Fairy stall. It’s a winning combination and nothing gets me in a better mood! 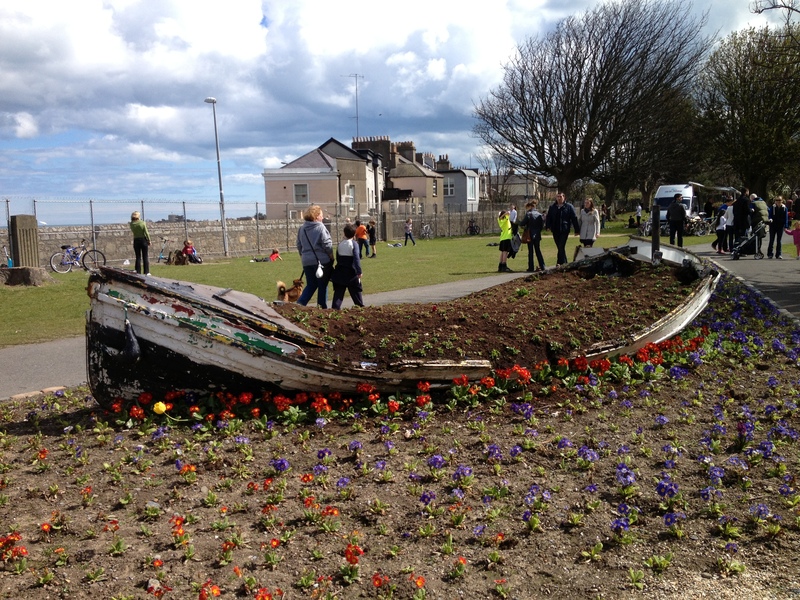 All the better is that you can afterwards go for a walk along the Dun Laoighre pier afterwards and admire the sea, boats, and everyone just happy chilling out! 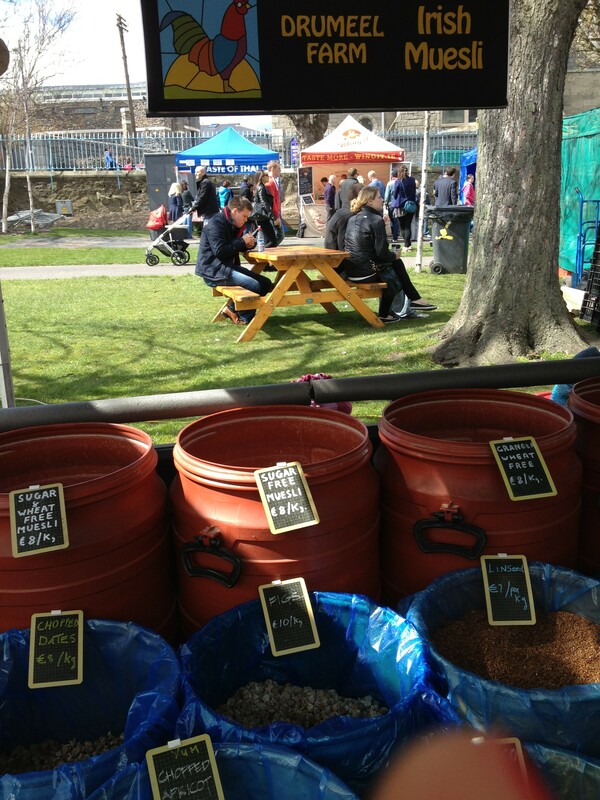 On a sunny day the place is unbeatable, people lie out on the grass eating and drinking treats bought from the stalls. In Summer there are often bands playing, and sometimes even a stage erected Last weekend when I was there a guy had set up a little DJ table and was spinning away tunes for everyone to enjoy. 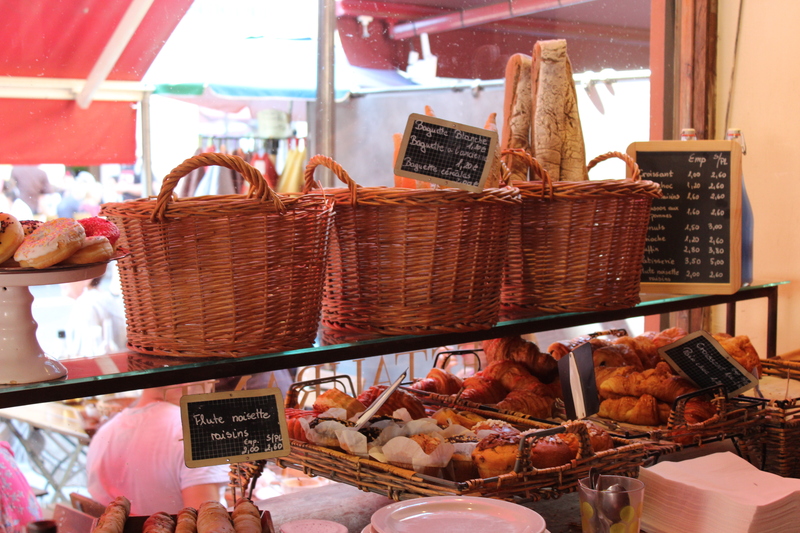 It’s also a fantastic place to stock up on delicious food for the week. 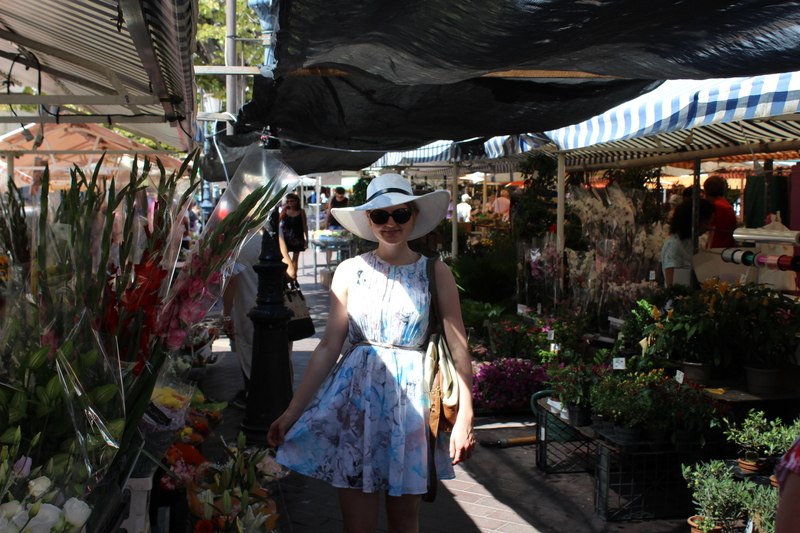 I always tend to leave with vegetables, cheese, preserves, tea and meat. You can also buy beautiful Colm de Ris pottery, home ware, craft and natural cosmetic products. 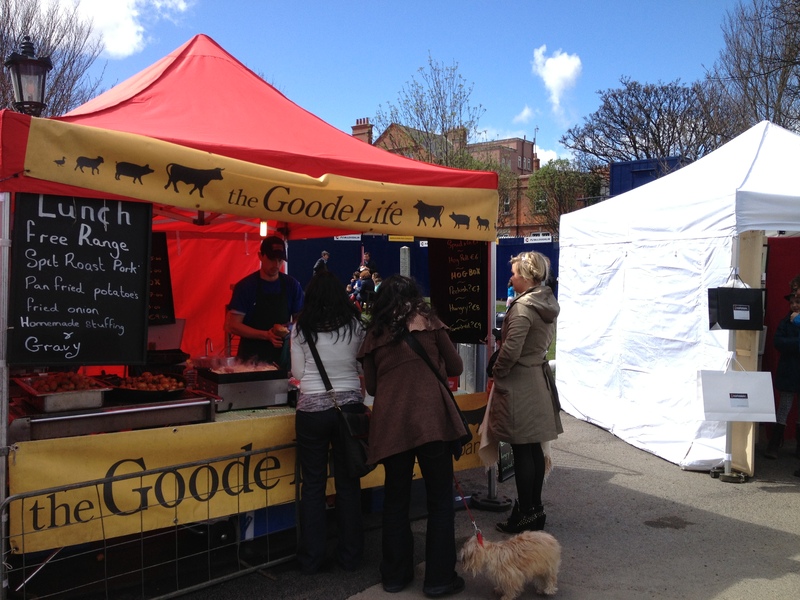 The Goode Life– You can’t beat this stall for your Sunday roast fix! I tend to get the pulled pork, potatoes, onions and gravy. 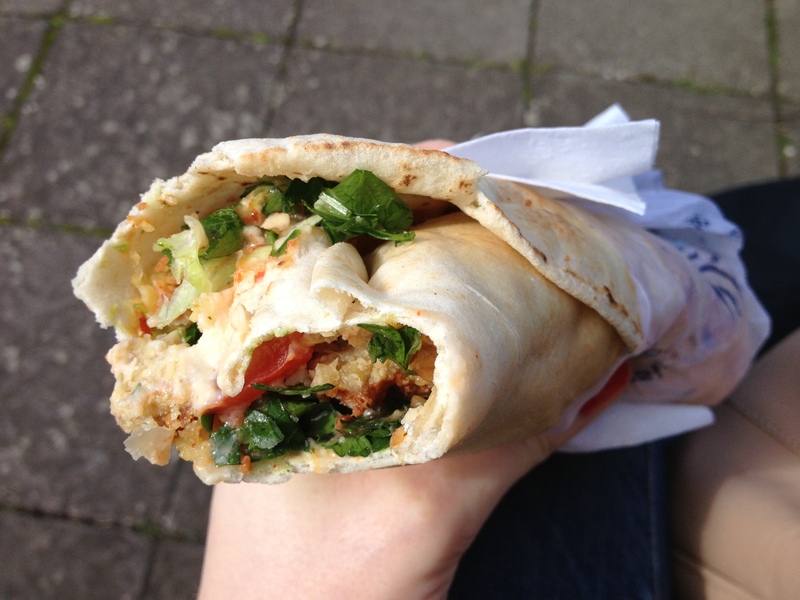 You can get pulled pork rolls too… delicious. 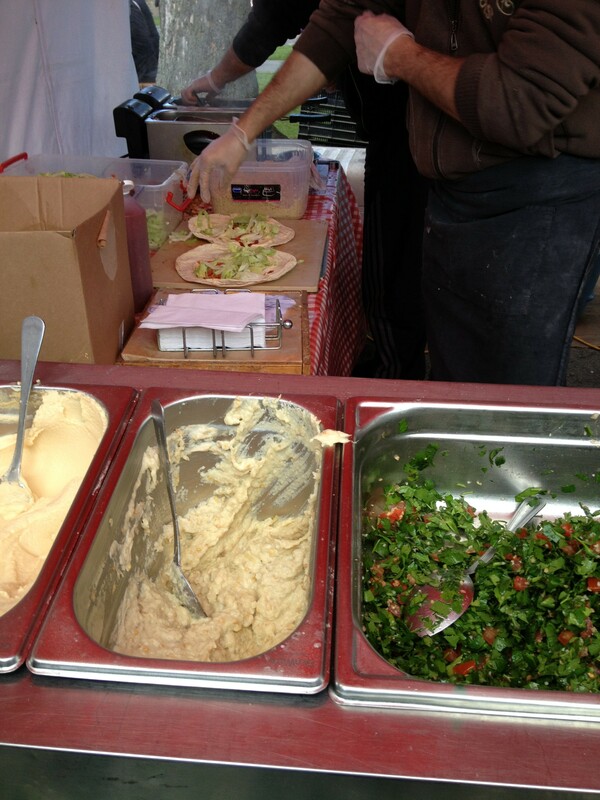 Lebanese Food- These guys do seriously good falafel wraps and platters. 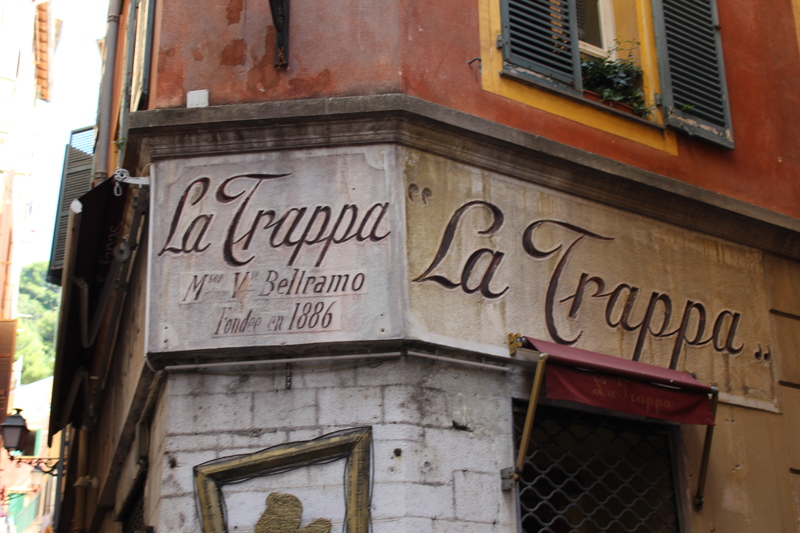 The Truffle Fairy– Where do I begin? 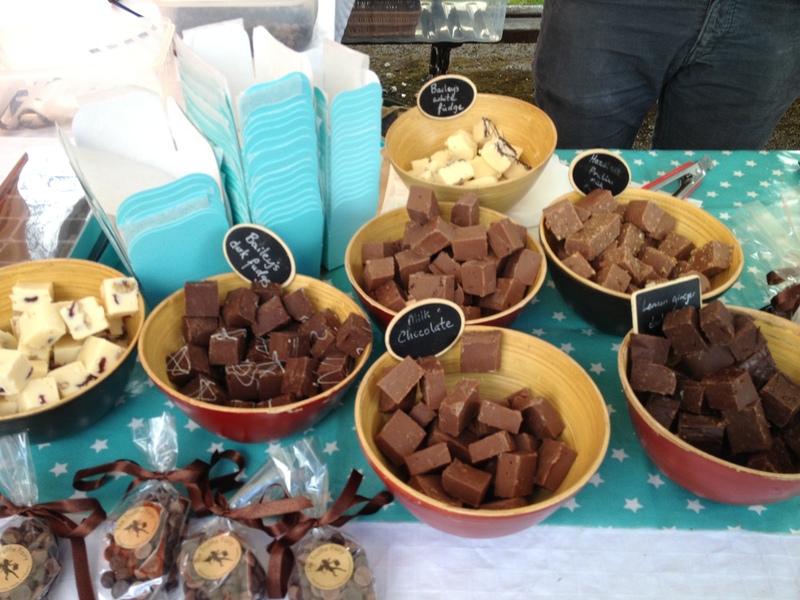 My main motivation for going to this market is to get their 80% dark chocolate brownies and their fudge is so silky smooth, try the white chocolate, cranberry and walnut fudge, mint praline fudge and recently added orange and cocoa nib fudge. 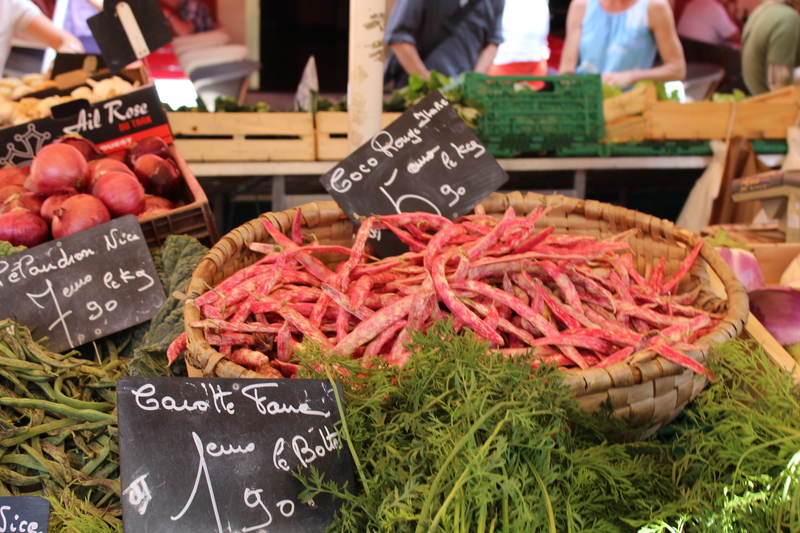 You literally cannot go to this market without trying these! Drumeel Farm Muesli– The guy who runs this stall is an absolute gentleman, and even if he wasn’t his muesli and granola would still sell like hot cakes. The muesli and granolas come in different varieties and you can add in extra seeds, nuts and dried fruits to make your own custom bags. 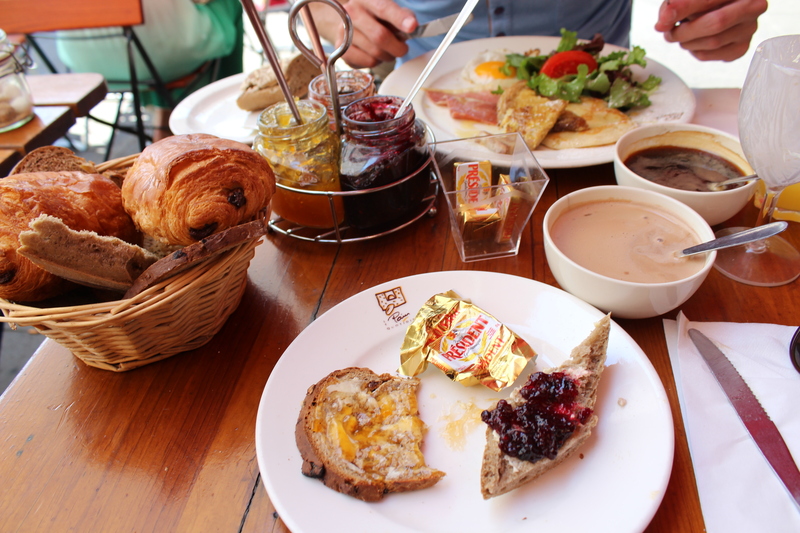 A perfect way to start your day. 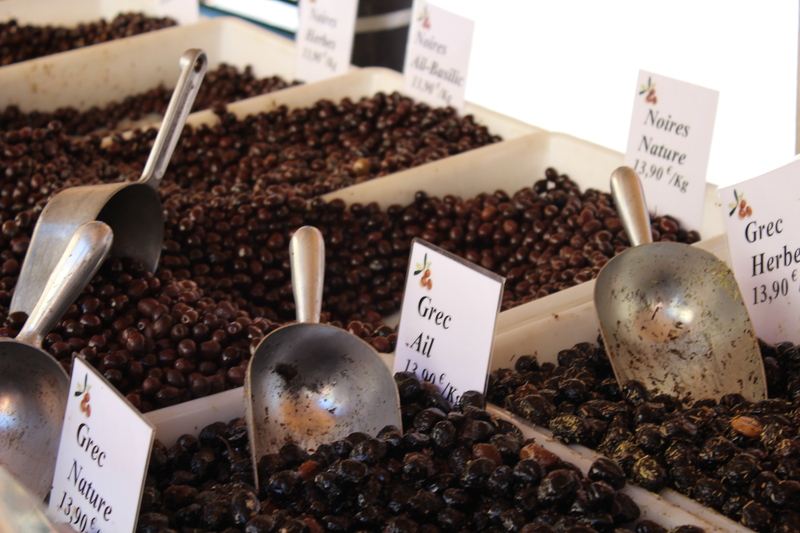 The Real Olive Stall– These guys are at almost every market, and thank god they are. Even if you’re not an olive fan, fear not. Their basil hummus is delicious, but the main attraction has to be the mozzarella. 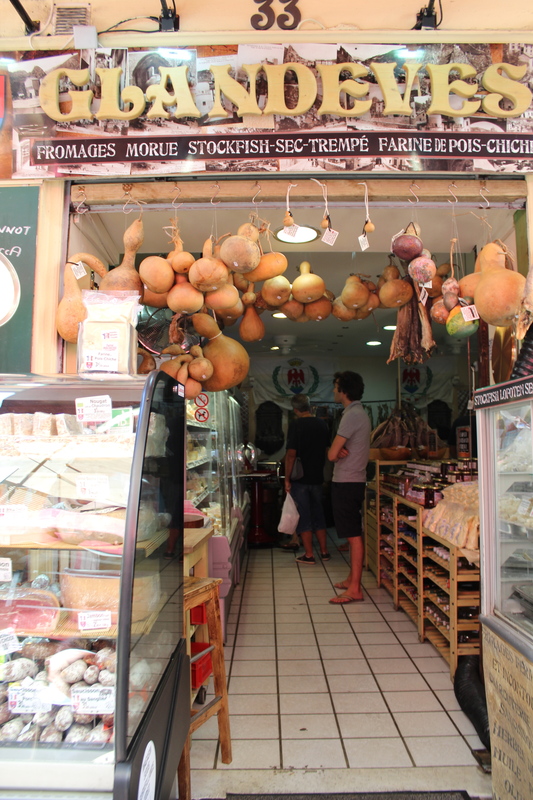 They stock the Toonsbridge Mozzarella made in Macroom, Co.Cork. Toonsbridge imported a herd of buffalo to Ireland and started making the best mozzarella I have ever eaten. I guess it must be all our rain makes for greener grass and thus milkier mozzarella. I haven’t seen this cheese sold anywhere else in Dublin, so definitely buy a ball or two next time you see them. 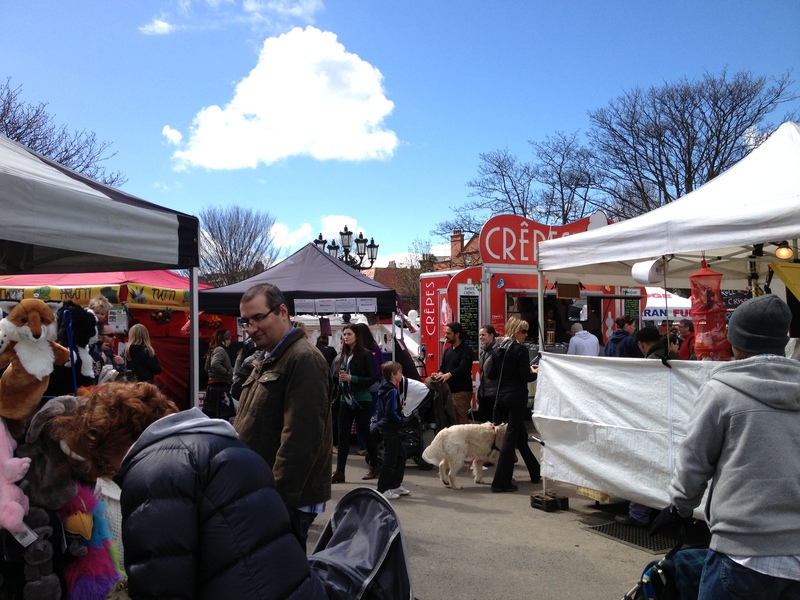 There are a fortune of other stalls to check out though, so many that I can’t fit them all in the blog. 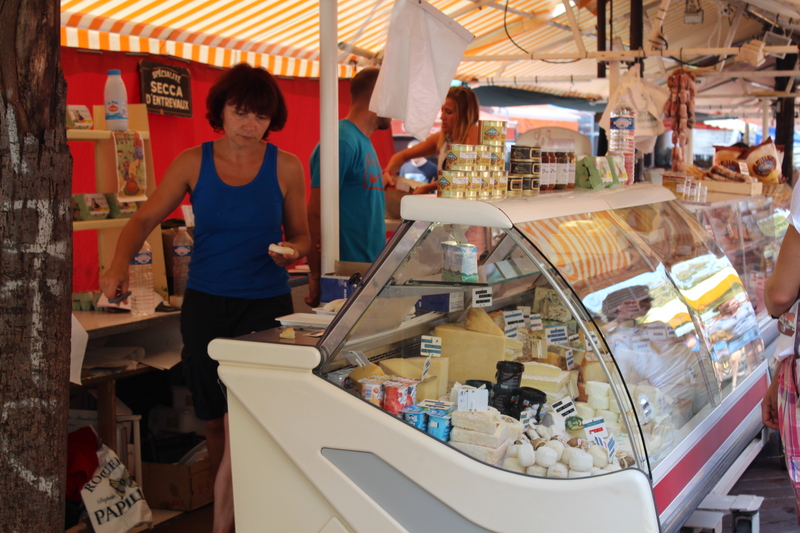 This market is definitely worth a visit though to try all the delights, stock up your fridge for the week, and for talking a lovely Sunday stroll along the pier.